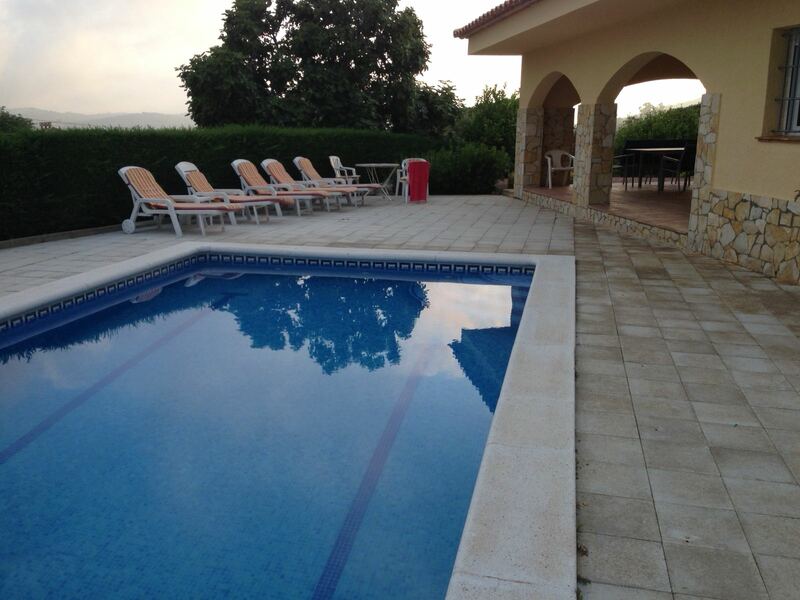 Attached house att 800m from the beach and from the center from S´Agaró. 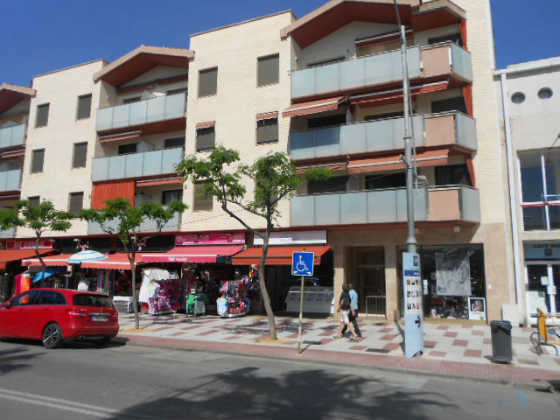 Apartement located in the building Shopping Center. 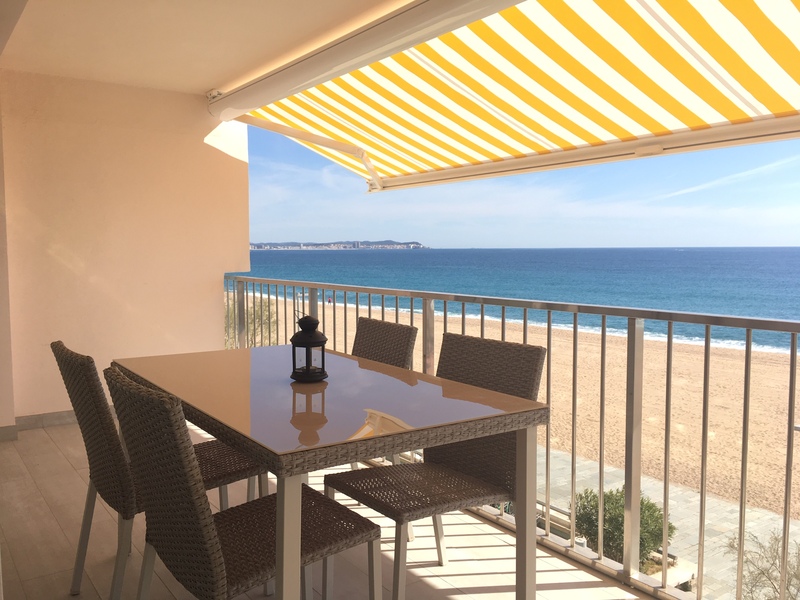 Apartment located at 350m from the beach. 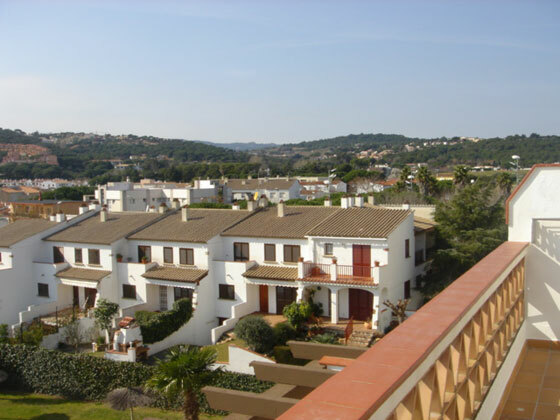 Apartment located in the Medina Sidonia building about 500m from the beach. 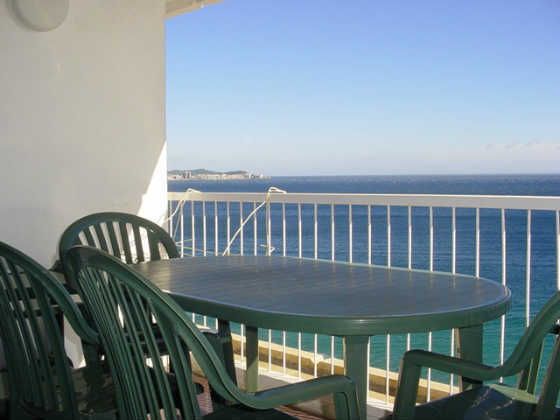 Apartment situated at Voramar building, about 50m from the beach and in about 100m from the center of Playa de Aro. 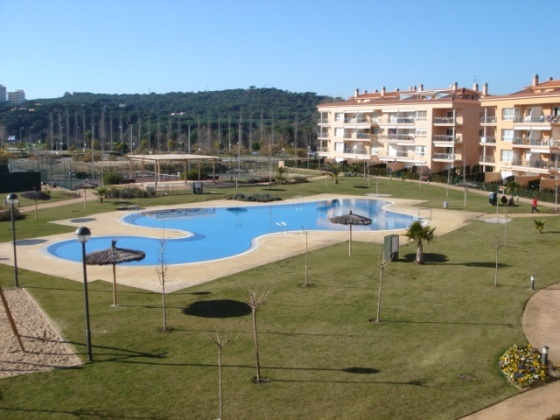 situated in S´agar in the building Residencial SAgar. 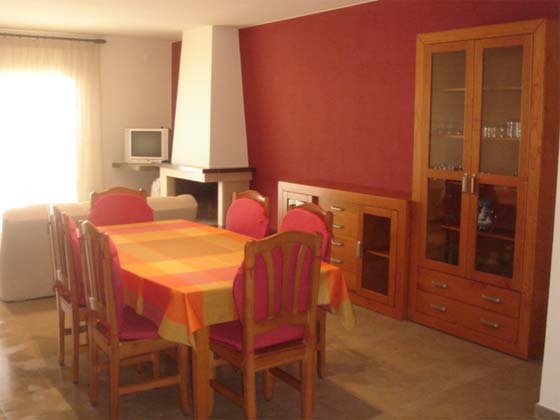 Apartment situated at about 200m from the beach and in about 400m from the center of Playa de Aro. 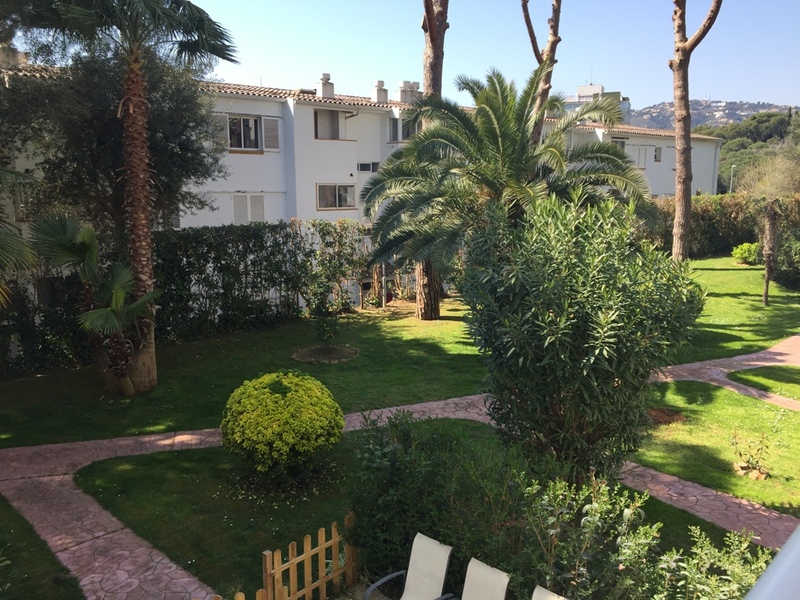 Apartment situated at 600m from the beach. 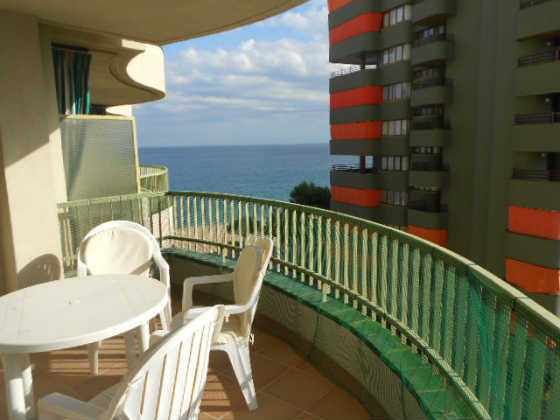 Apartment situated in the building Europalace in Playa de Aro. 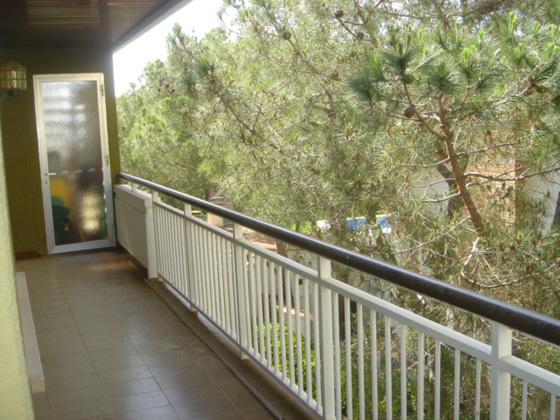 Composed by 2 bedrooms (1 like a suite), 2 bathrooms, american kitchen, living-dining room with access to the private garden. 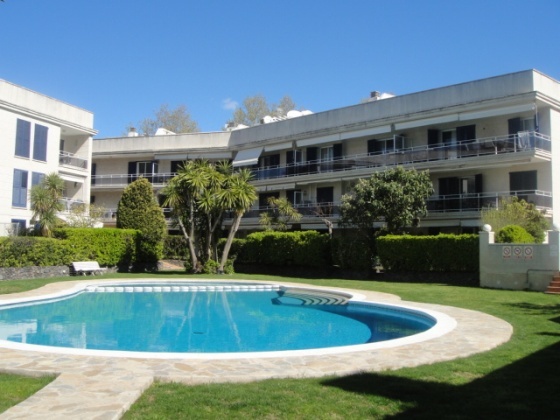 Apartement situated in the building Ely Palace in front of the beach about 100 m from the center of Playa de Aro. 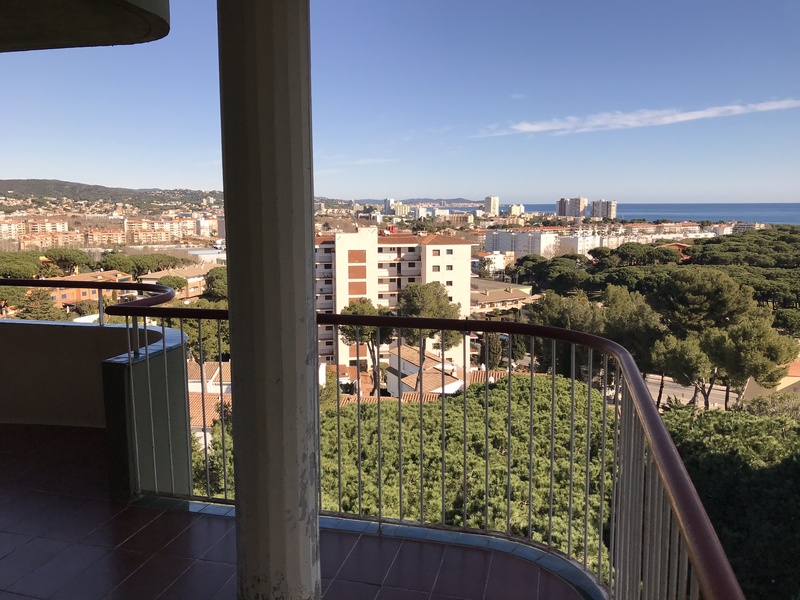 Apartment situated in the building Sant Lluis about 300 m from the beach and in the centre of Playa de Aro. 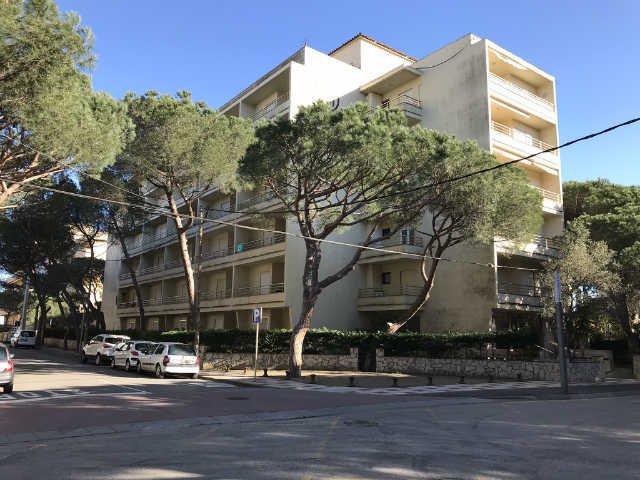 Apartment located on the building President. 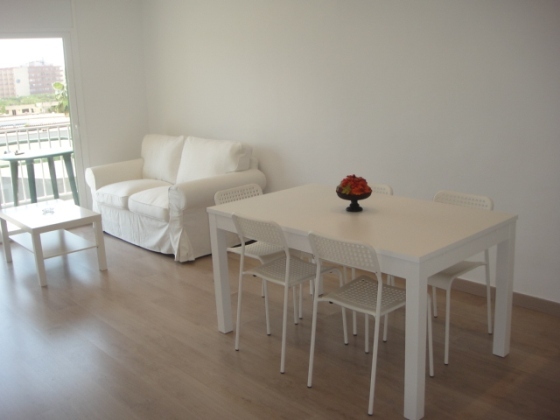 Apartment situated in the urbanisation Politur. 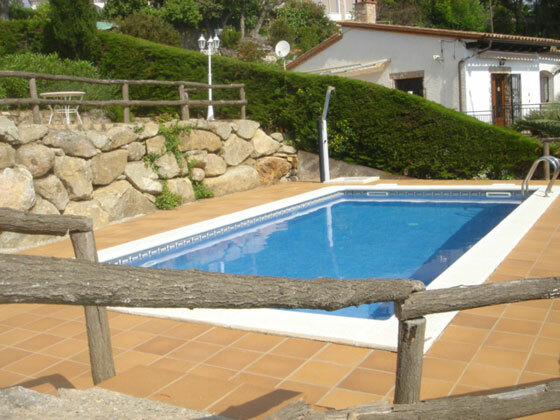 Attached house located at 700m from the beach and 1km from the center of Playa de Aro. 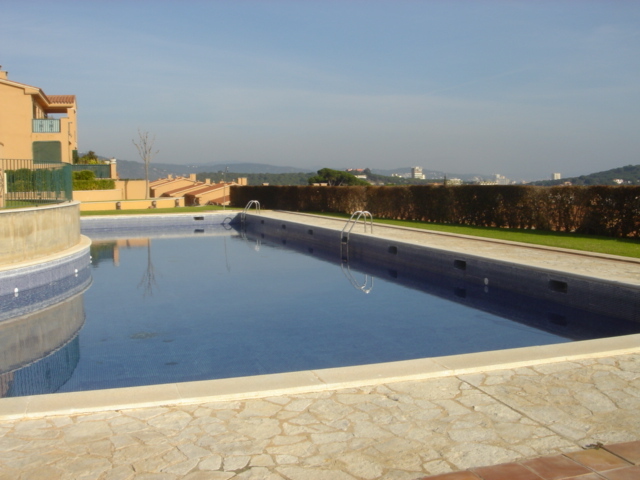 located in the complex Rancho Suizo at 150m from the beach. 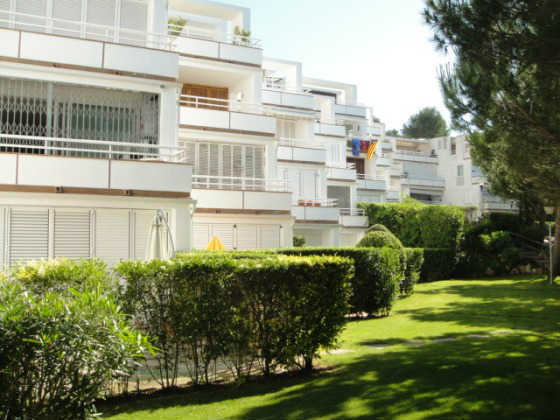 Apartment situated in the building Arroyo in Playa de Aro. 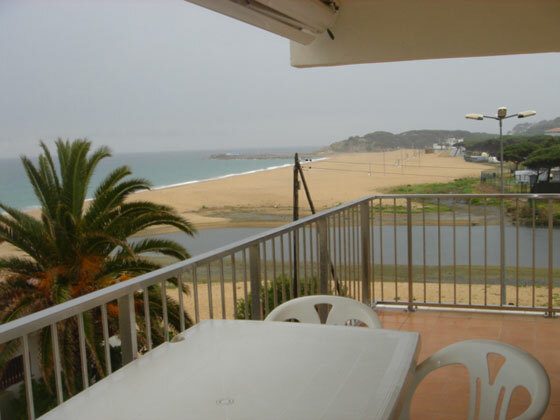 Apartment situated in about 300m from the beach in the building Monica. 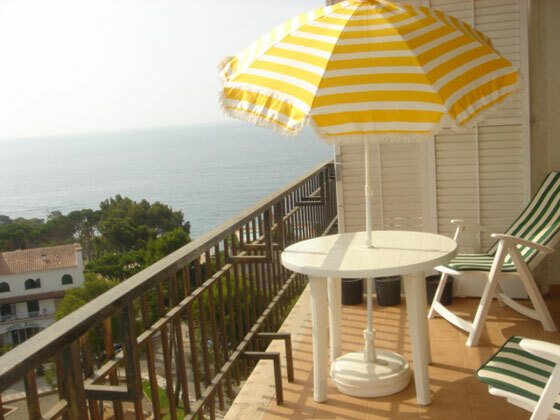 situated on the beach and about 100 m from the center of Playa de Aro. 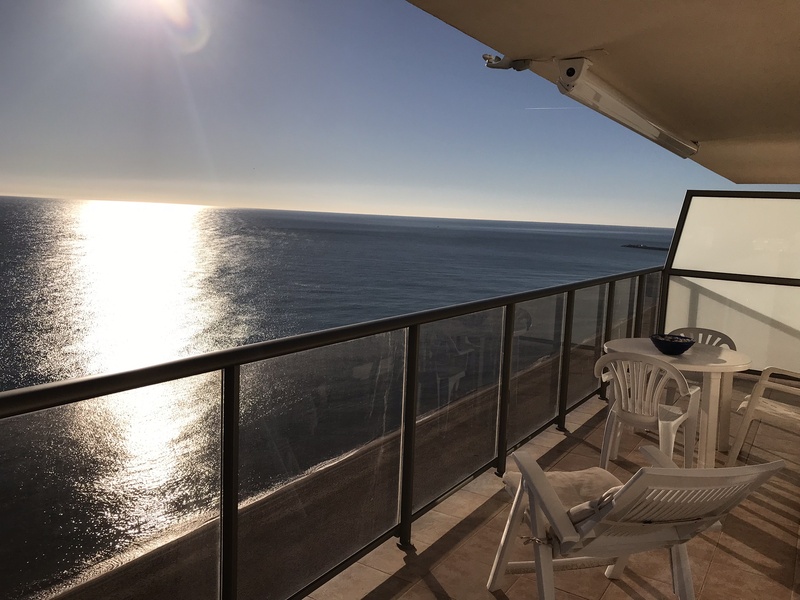 Apartment situated on the beach in building Embajador. 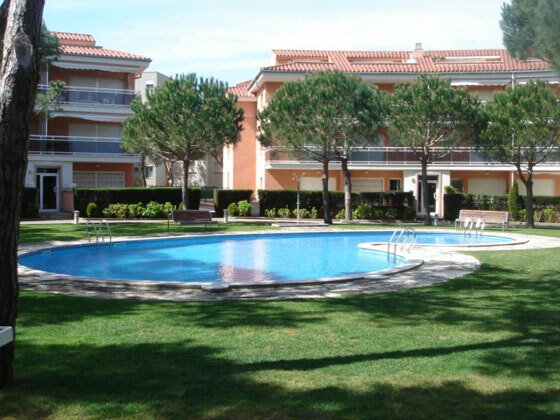 situated in the complex Bobila del Mar. 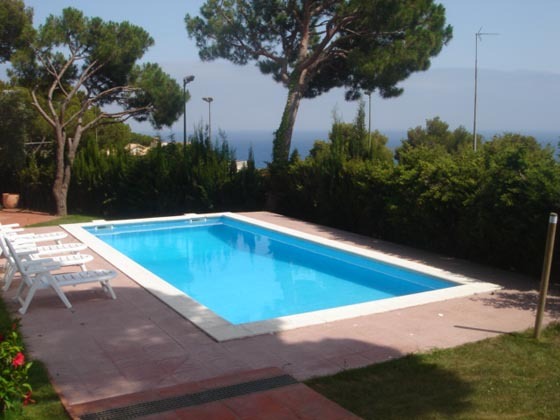 Situated at 300m from the beach and 700m from the center of Playa de Aro. 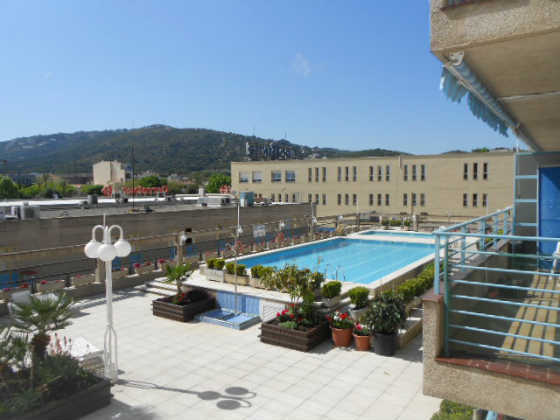 Apartment situated in the building Catalunya in front of the beach and about 150 m from the centre of Playa de Aro. 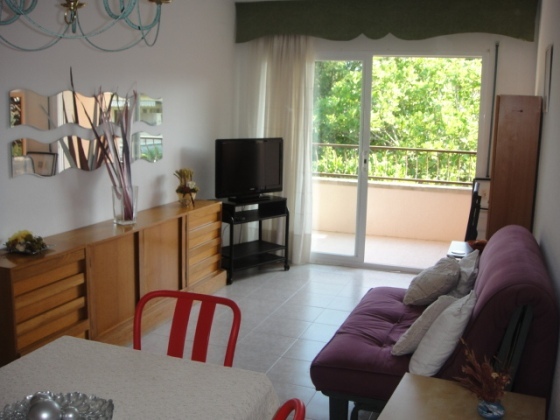 Apartment situated in about 100m from the beach in the building Palatio Maris. 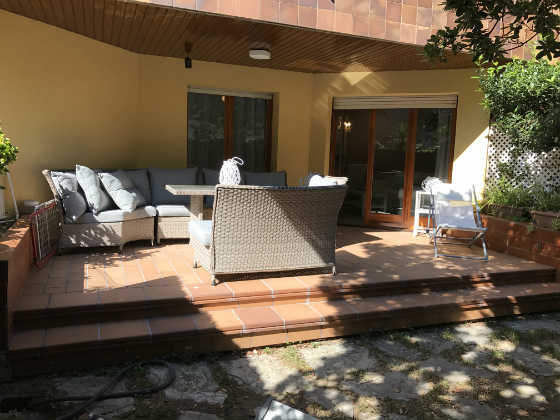 situated at 600m from de beach and at 800m from the center of Playa de Aro. 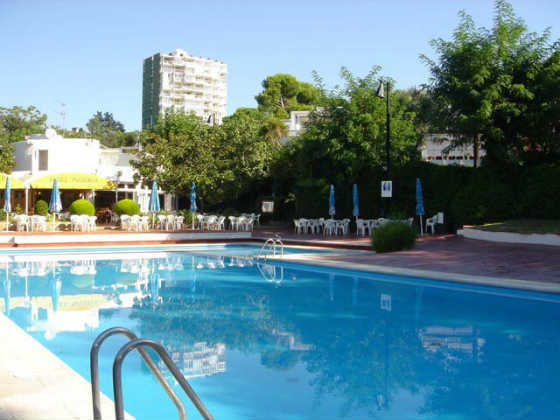 Apartment situated in the complex Nautic Aro. 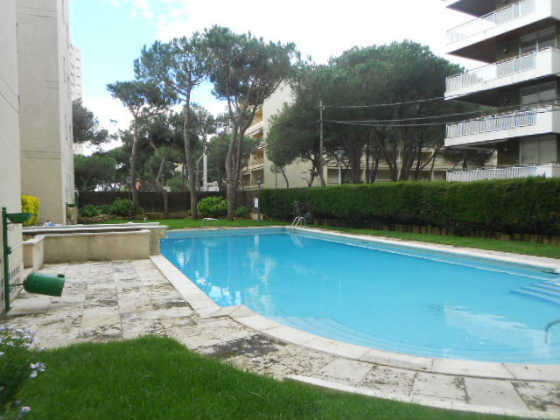 Located in the urbanization Politur about 700 m from the beach. 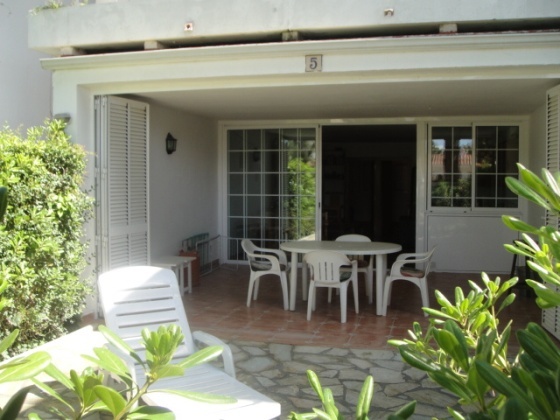 House situated about 2km from the beach and from the center of Playa de Aro. 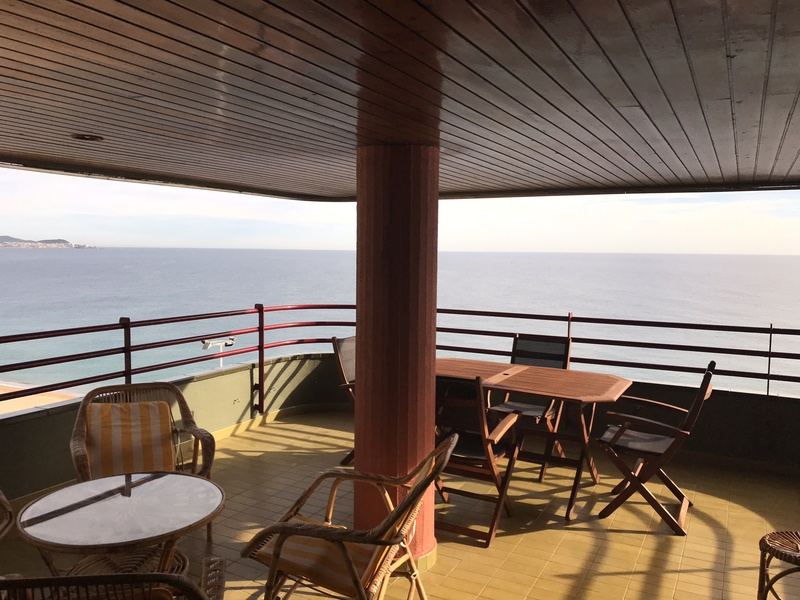 situated in the complex Nautic Aro. 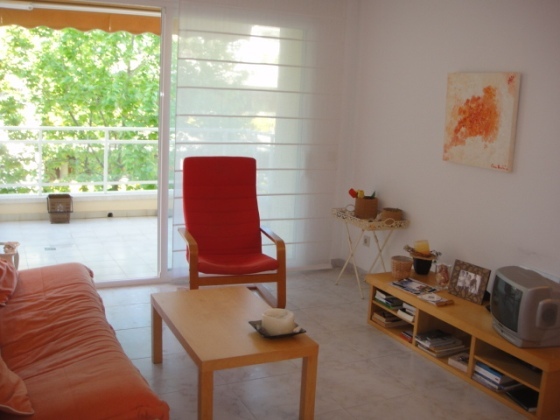 Apartment located about 50m from the beach, in the Mar y Carmen building. 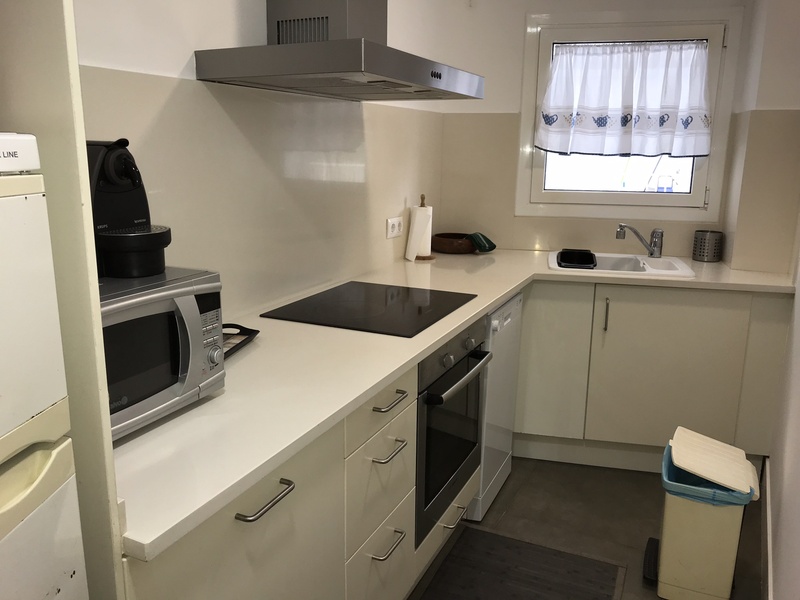 Renovated studio located on the beach (aprox. 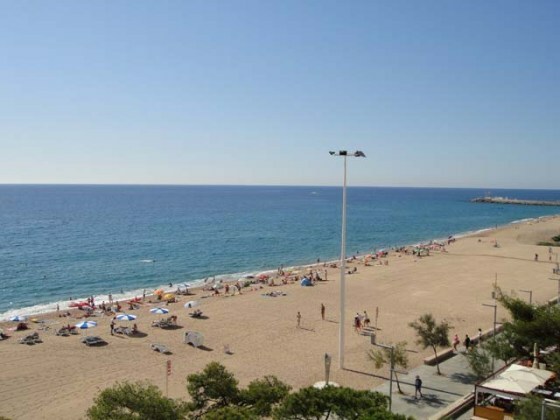 Apartment situated in 450m from the beach in the building Ridaura. 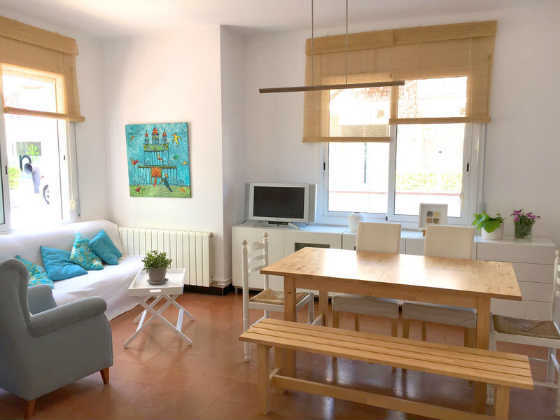 Apartment located in the building Catalunya. 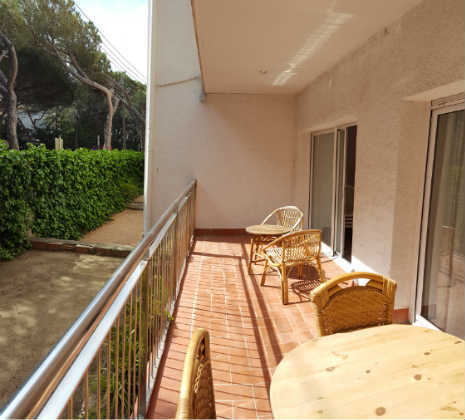 Apartment located in the urbanization Los Pinos 1 km from the beach and about 1´5 km from the center of Playa de Aro. 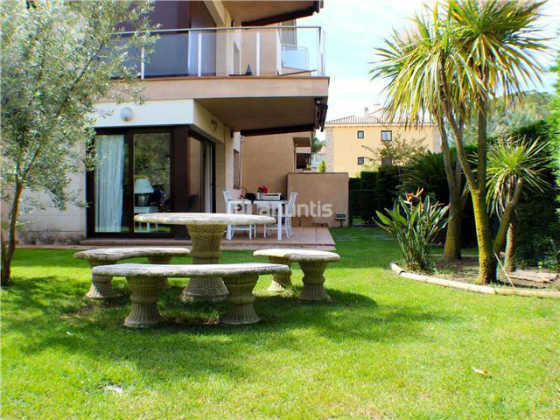 composed by 3 bedrooms, 2 bathrooms, kitchen, living-diningroom with access to the terrace facing the pool and the garden. 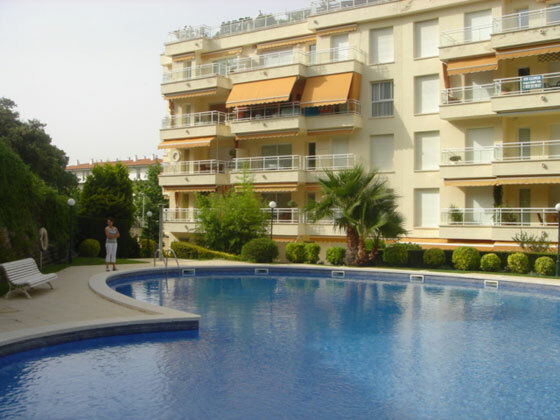 Apartment situated in the complex Migdia. 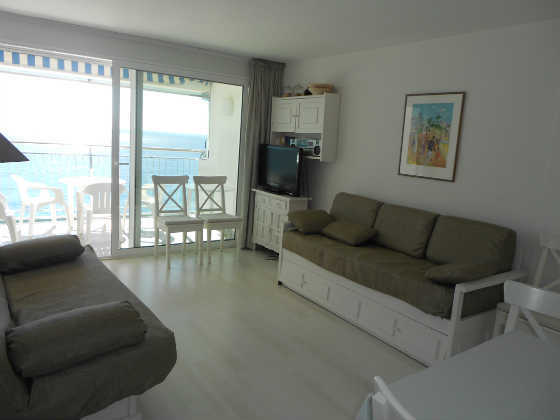 Apartment situated on the beach in the building Tamarius. 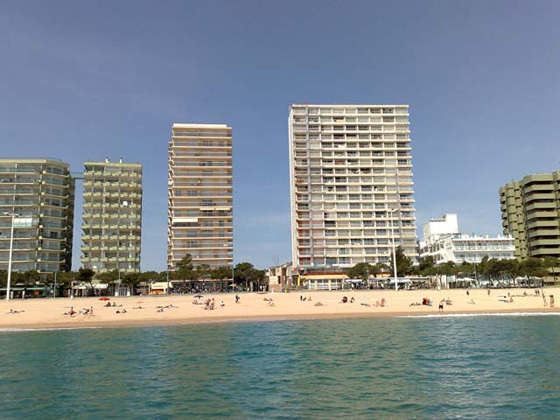 Apartment situated in the building Beach Palace. 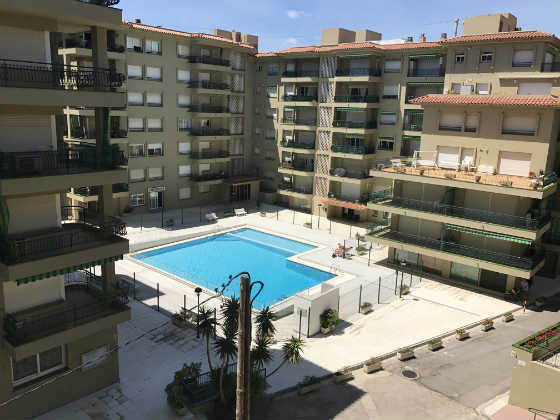 situated in the building Sa Conca. 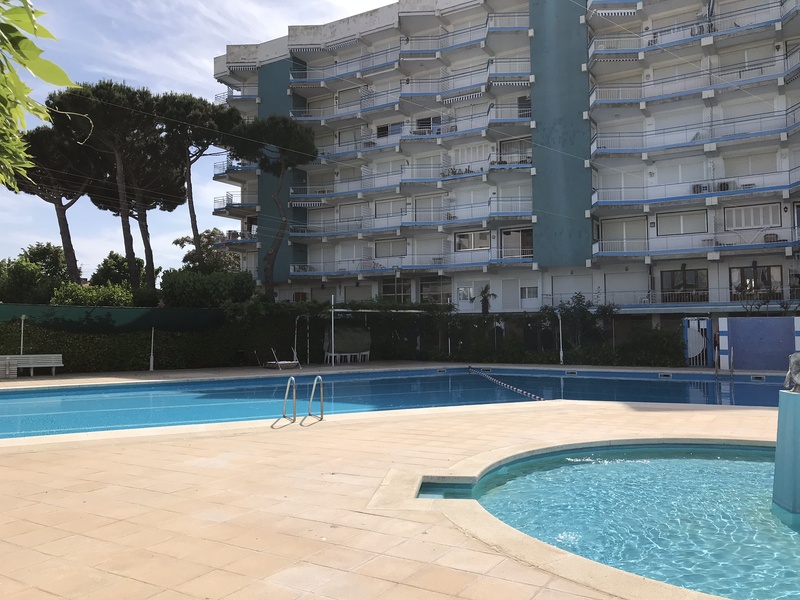 Apartment situated in the building President, composed by 2 bedrooms, 1 bathroom, separate w.
New construction apartment and furnished modern situated at about 100m from the beach in the centre of Playa de Aro. 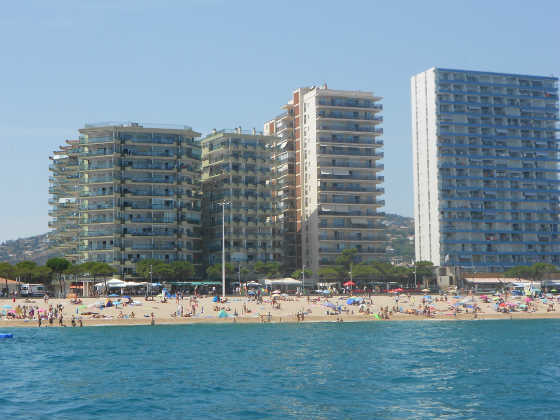 Apartment situated in the building Super Beach. 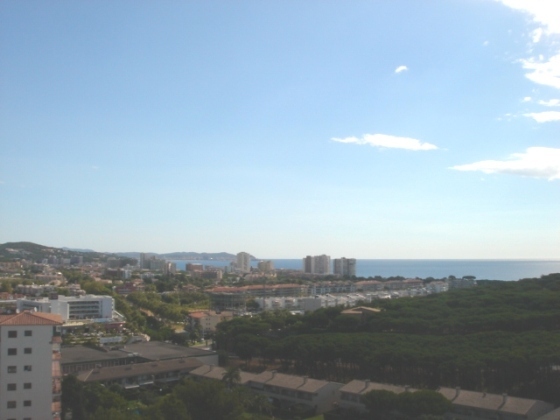 Apartment situated in the building Tamabe in the center of Playa de Aro and in about 200m from the beach. 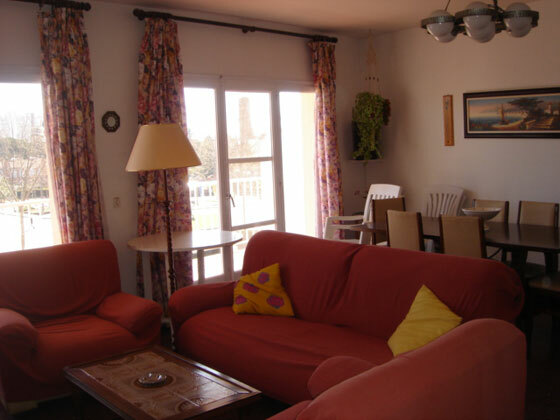 Studio situated in the building Elypalace on the beach about 100 m from the center of Playa de Aro. 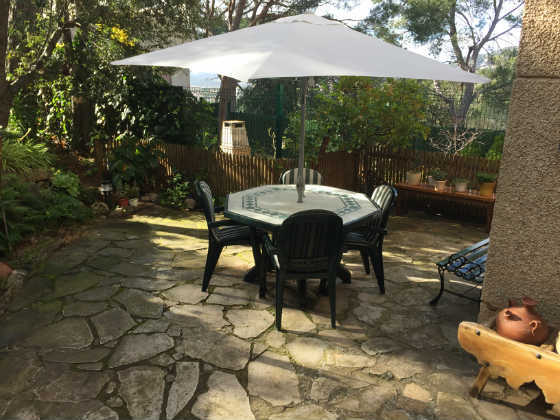 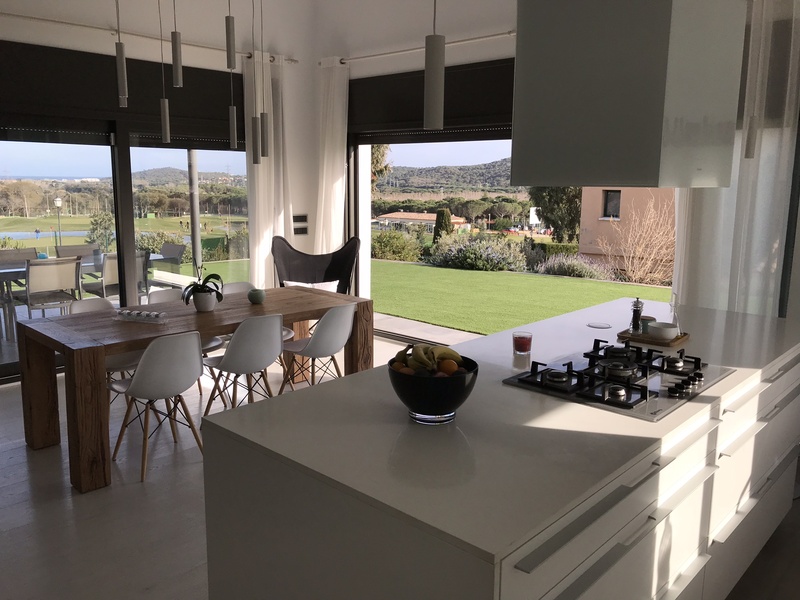 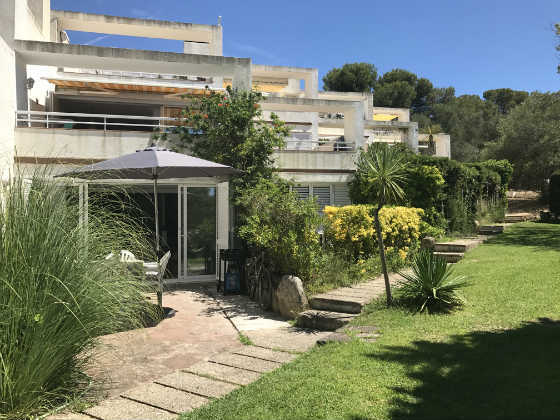 situated at 600m from the beach and in about 800m from the center 2 bedrooms, 2 bathrooms, kitchen, living-diningroom with access to the terrace facing the pool and the gardens. 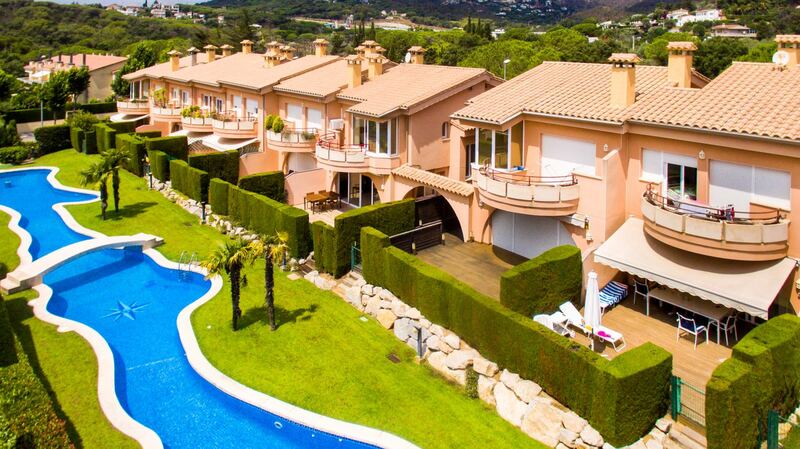 Located about 700m from the sea. 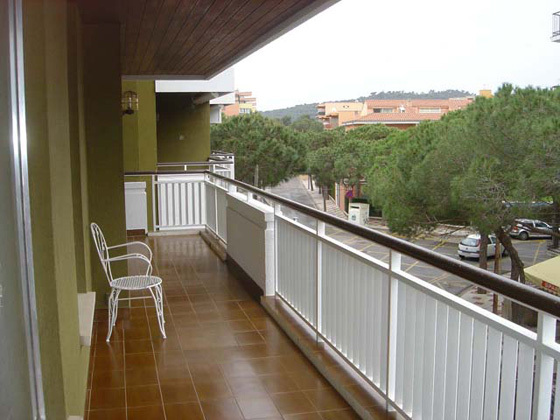 Apartment located in the Sant Josep building in the center of Platja d´Aro. 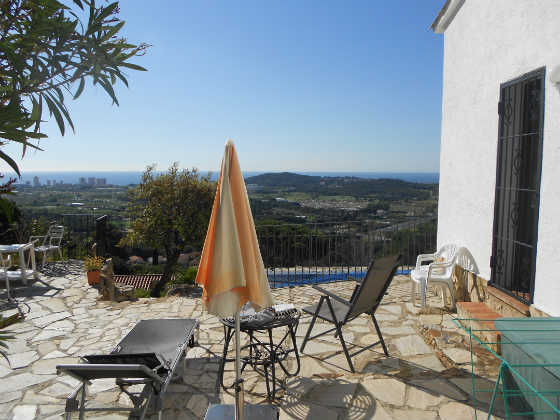 House at 3km from the beach in the urbanization Mas Palli. 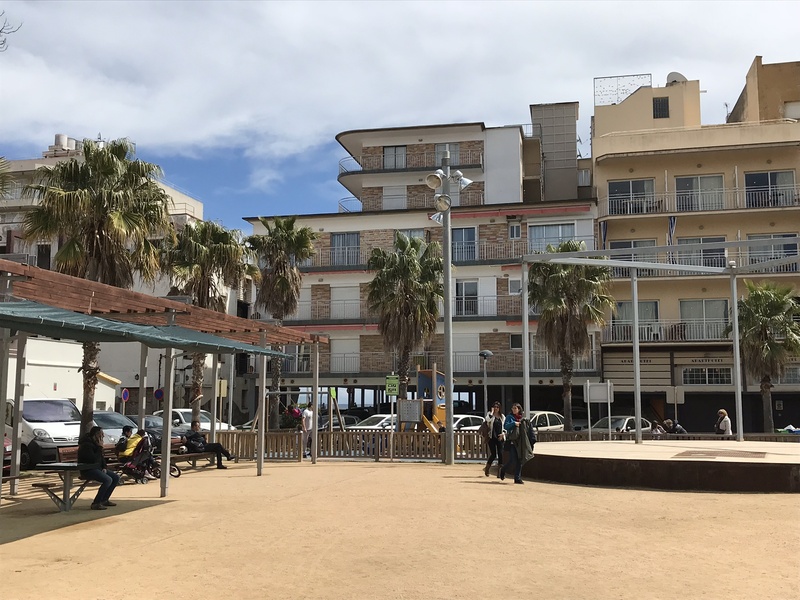 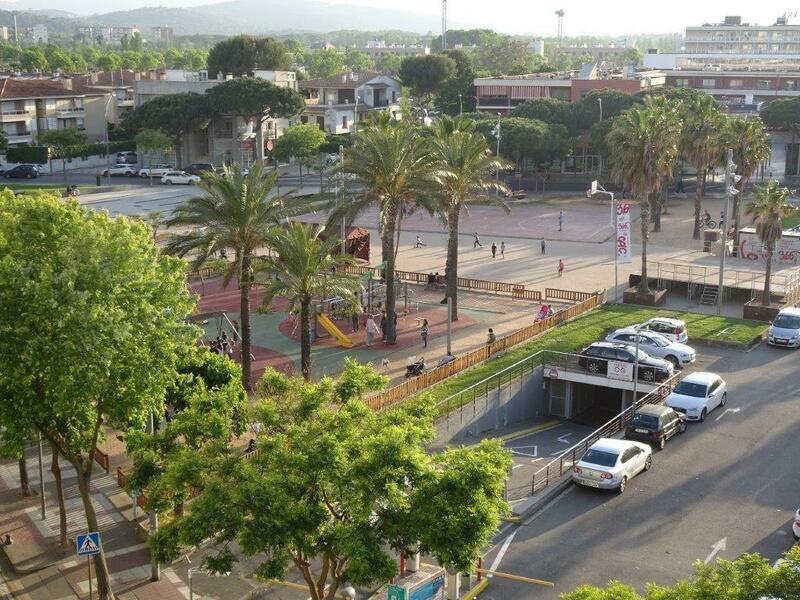 Apartment situated in the urbanisation Politur, in the building Torre Garbí about 800 m from the beach and about 1 km from the centre of Playa de Aro. 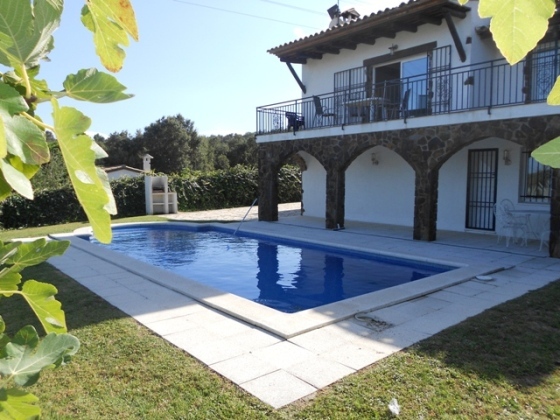 House situated in the urbanisation Mas Ros in about 3 km from the beach. 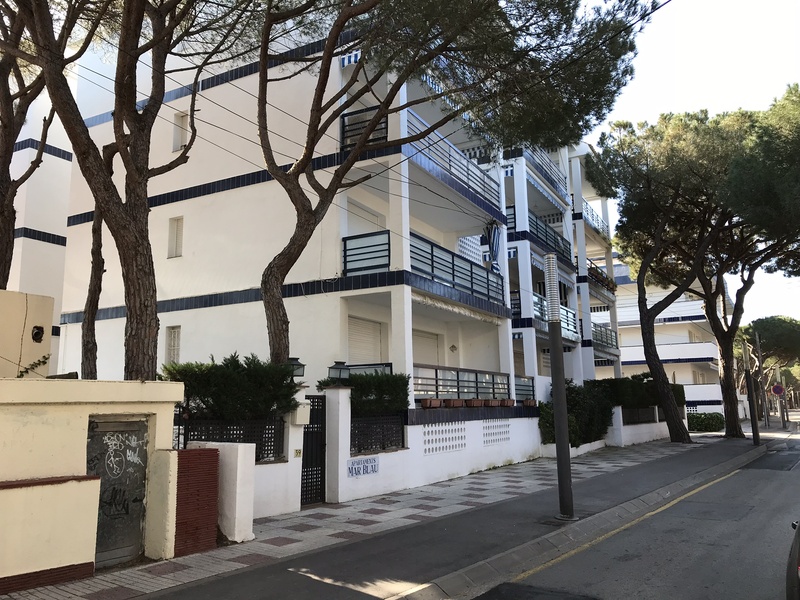 Apartment located in the building REY BALDUINO at about 100m from the beach and about 400m from the center of Playa de Aro. 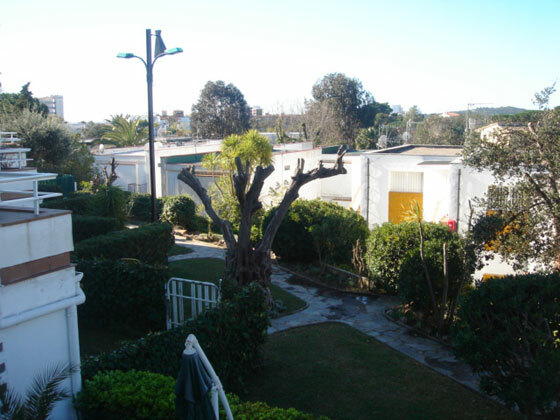 House situated in the urbanisation Can Semi in about 2 km from the beach. 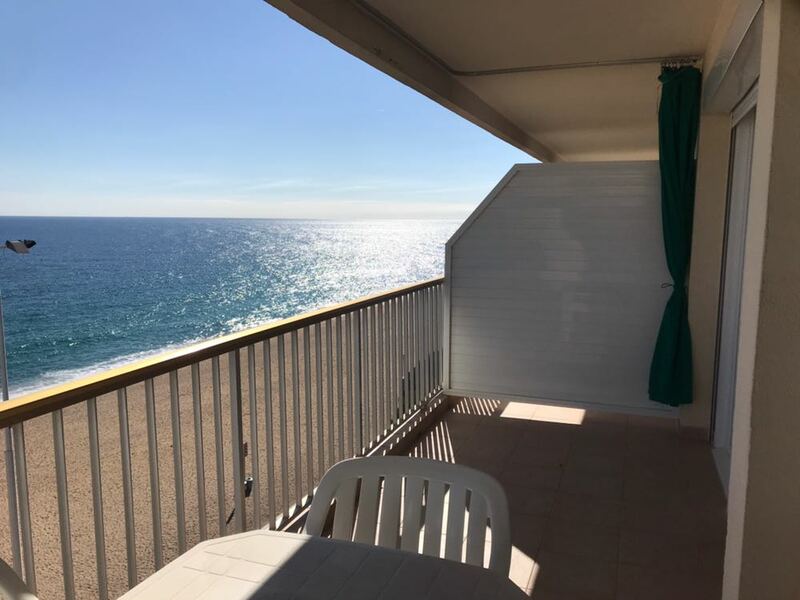 Apartment located on the beach in the building Alexandra. 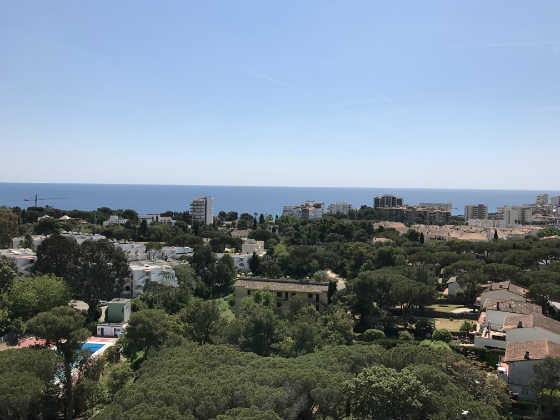 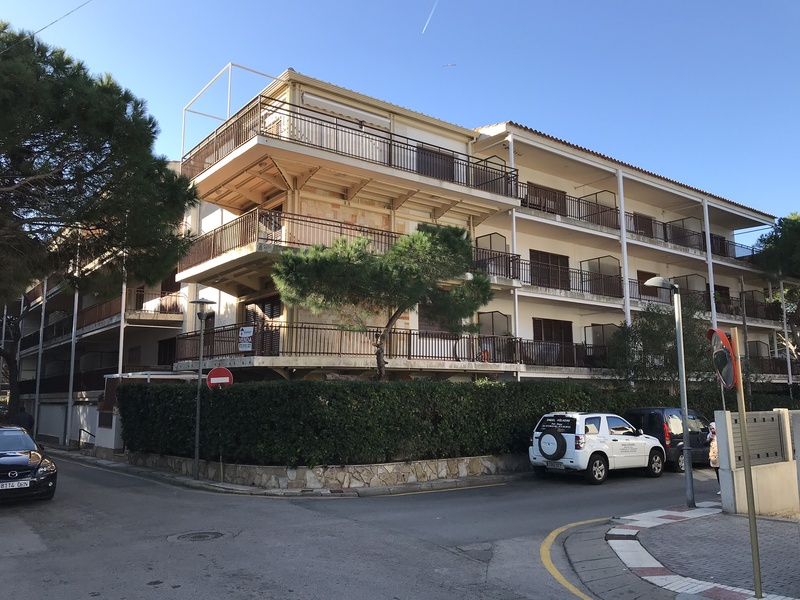 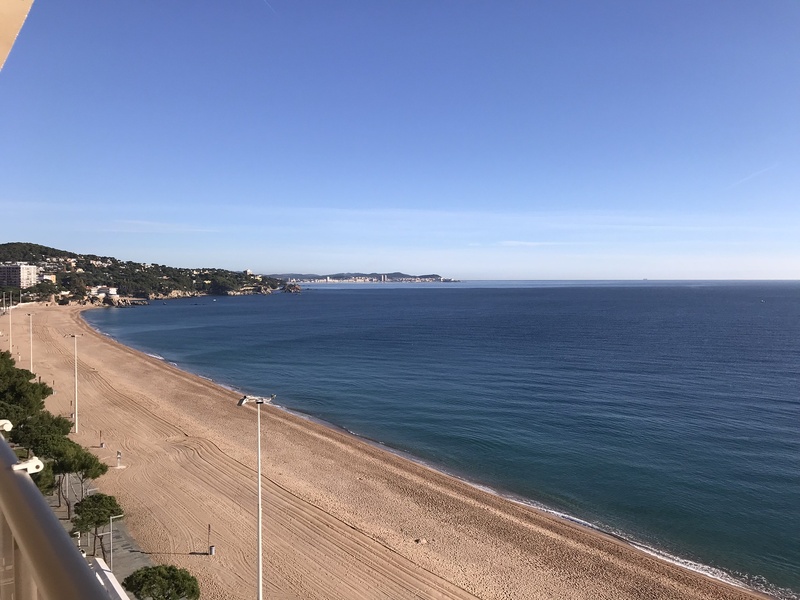 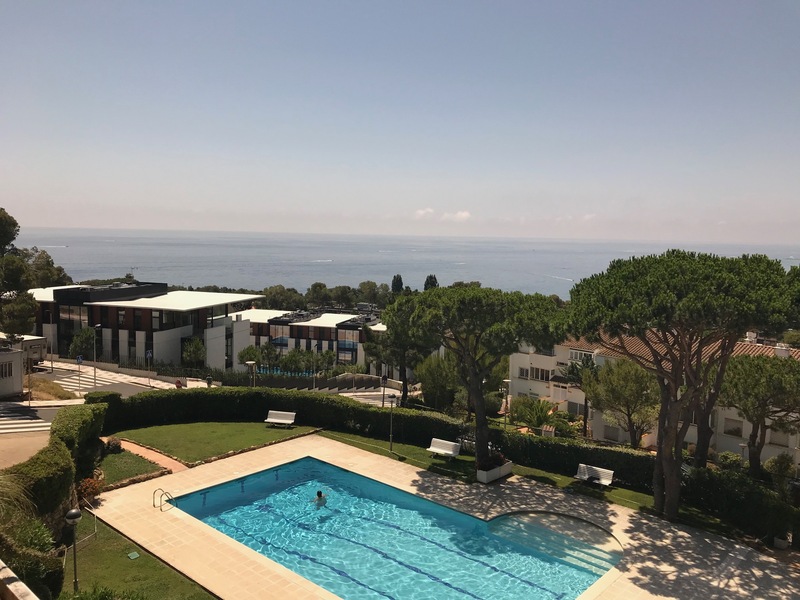 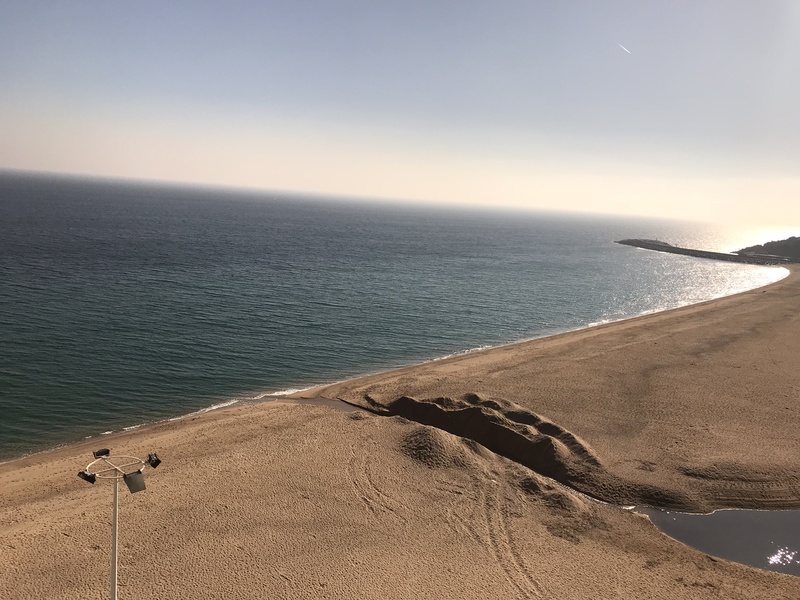 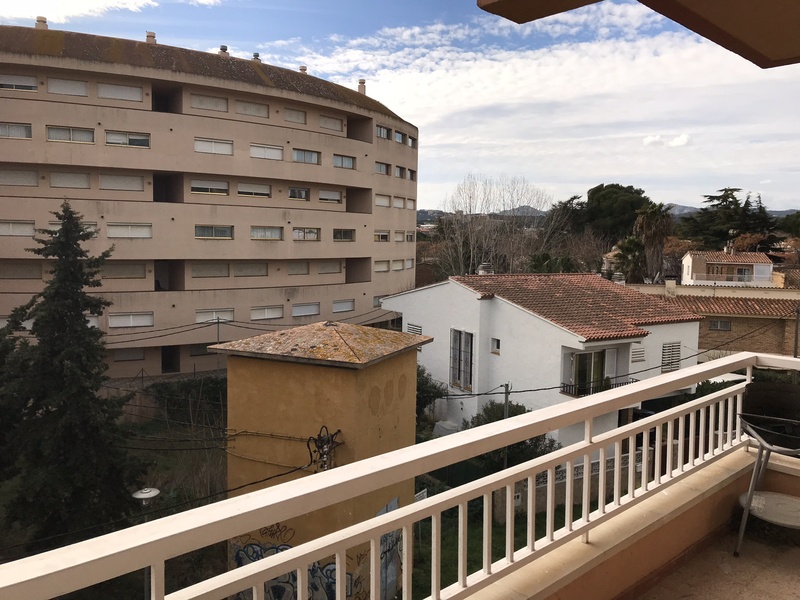 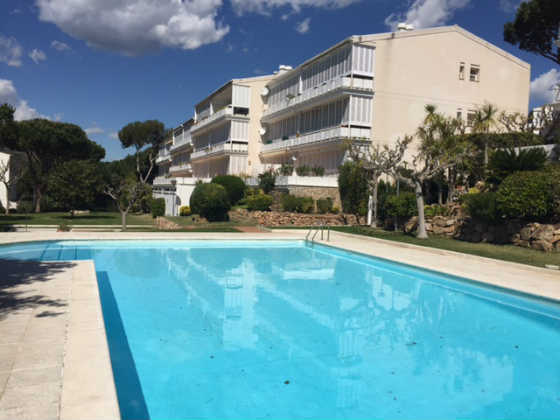 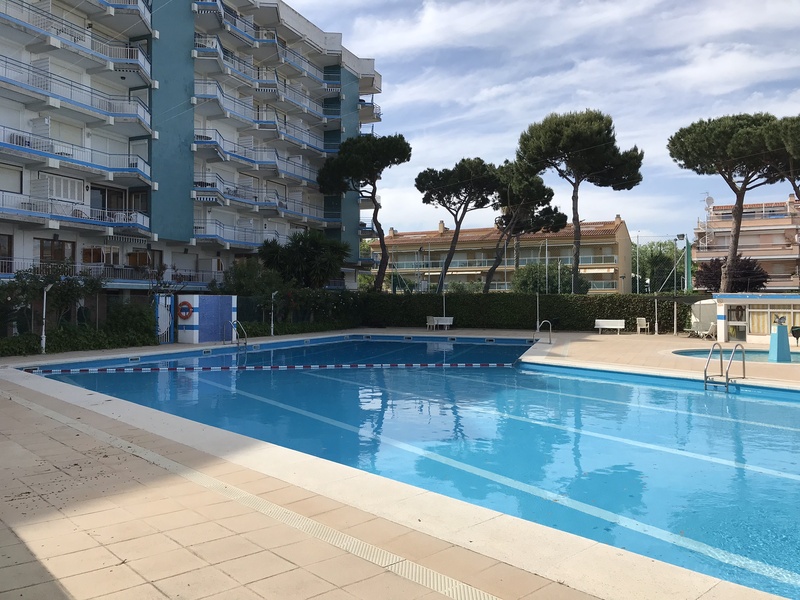 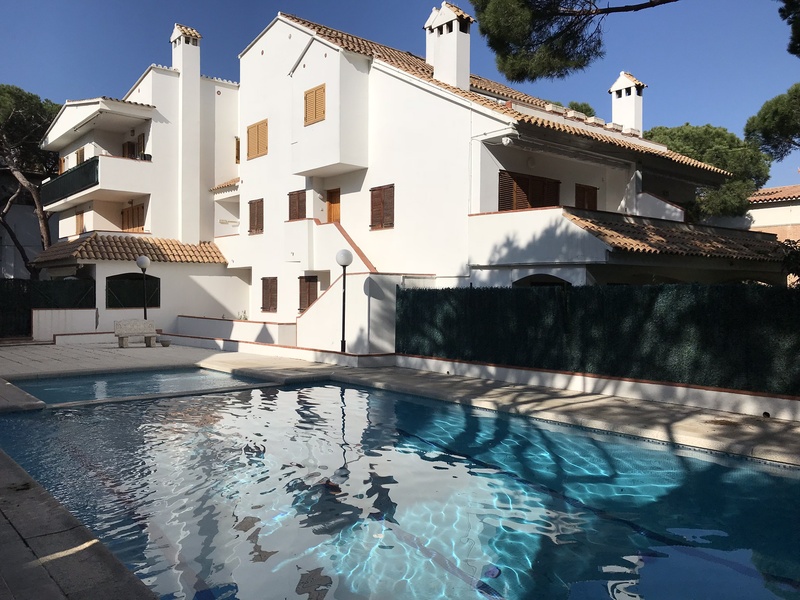 Located 900 m from the beach and 400 m from the shopping area of S.
Renovated apartment located in the Stela building on the seafront and in the center of Platja d´Aro. 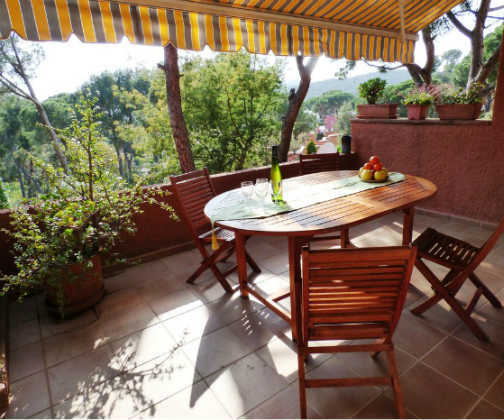 Situated in about 400m from the beach and at 800m from the city center. 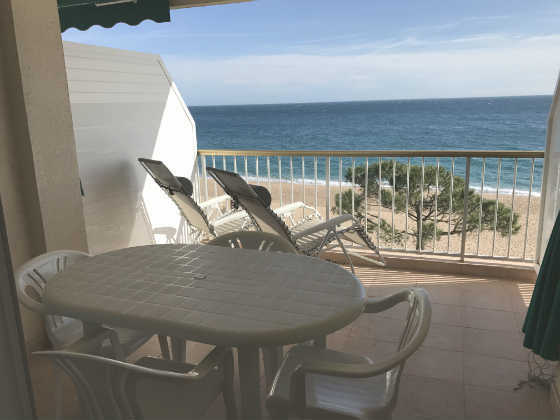 Situated on the beach and in about 100m from the center of Playa de Aro. 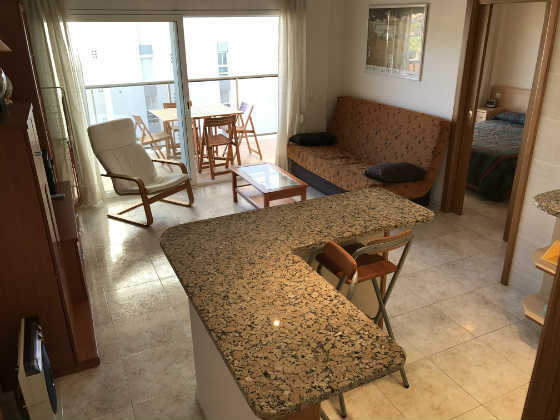 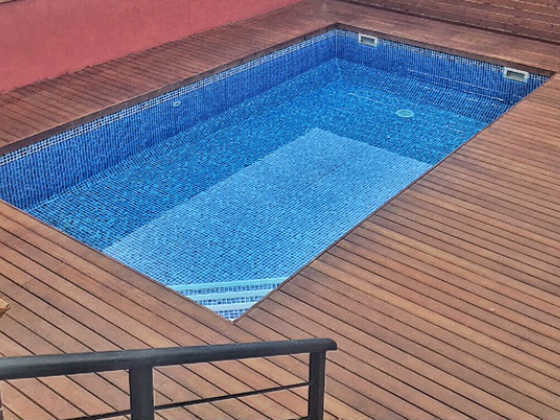 Apartment situated in the building Ipanema. 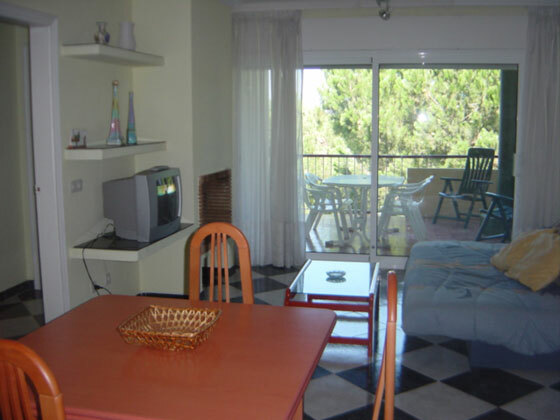 Apartment situated in about 600m from the beach . 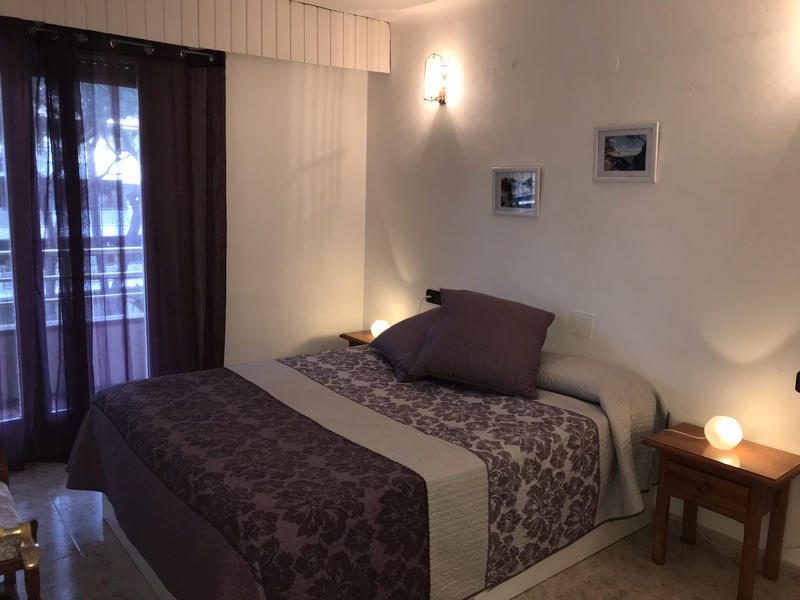 Apartment situated in the building Alexandra. 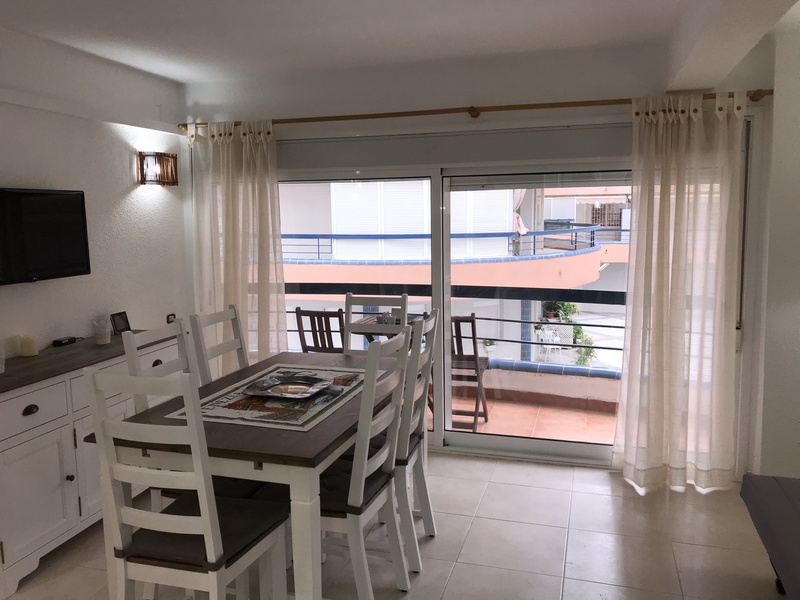 Apartment situated in the building Botabara at about 200m from the beach and at about 100m from the center of Playa de Aro. 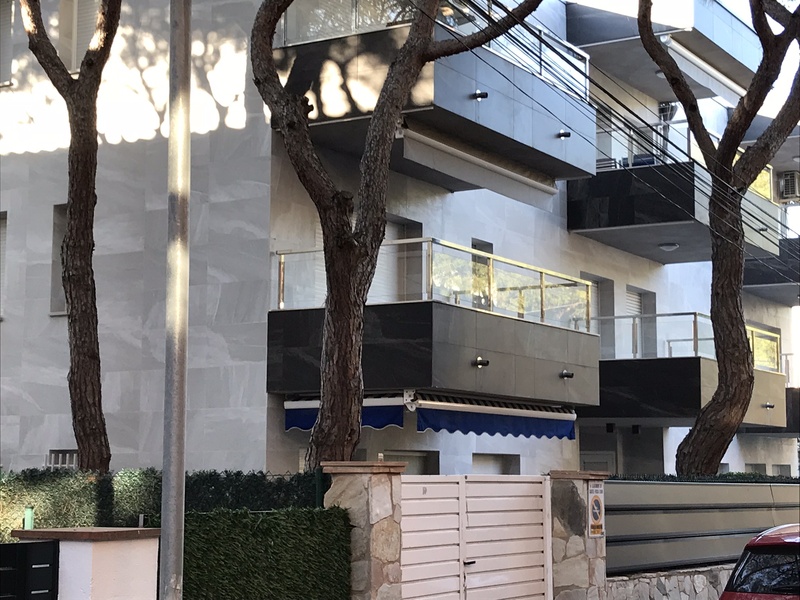 Apartment on the building Nereides. 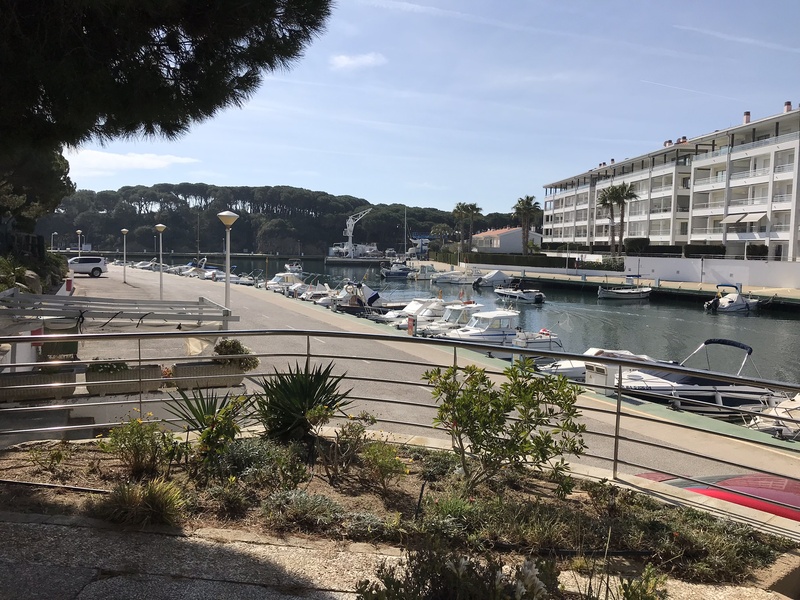 Located in the Marina building on the first line of the sea. 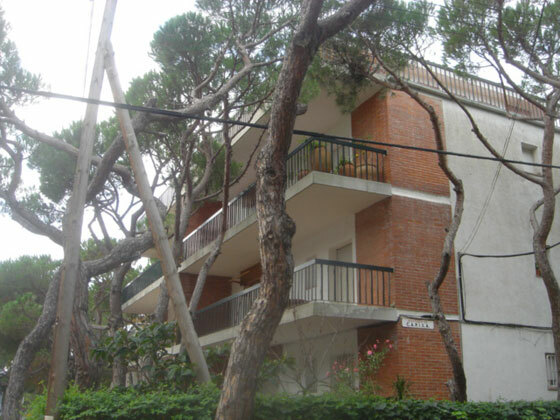 Study situated in the building Torre Garbí about 800 m from the beach and about 1 km from the centre of Playa de Aro. 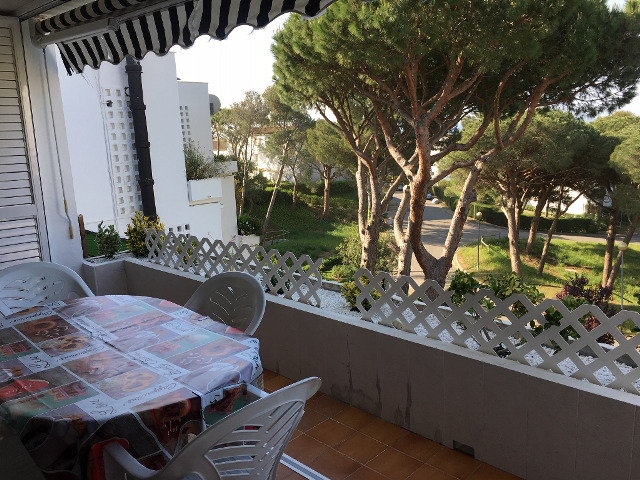 Apartment situated at about 600m from the beach. 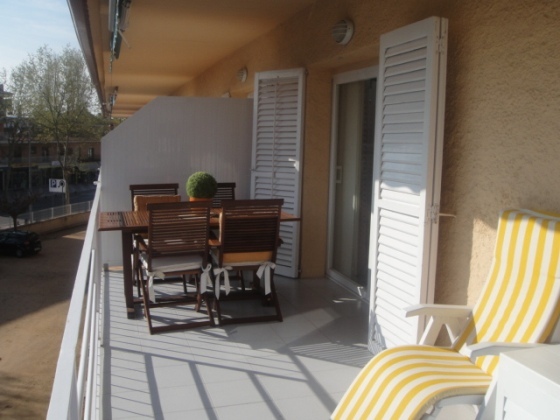 Apartment situated in about 400m from the beach in the urbanisation Politur. 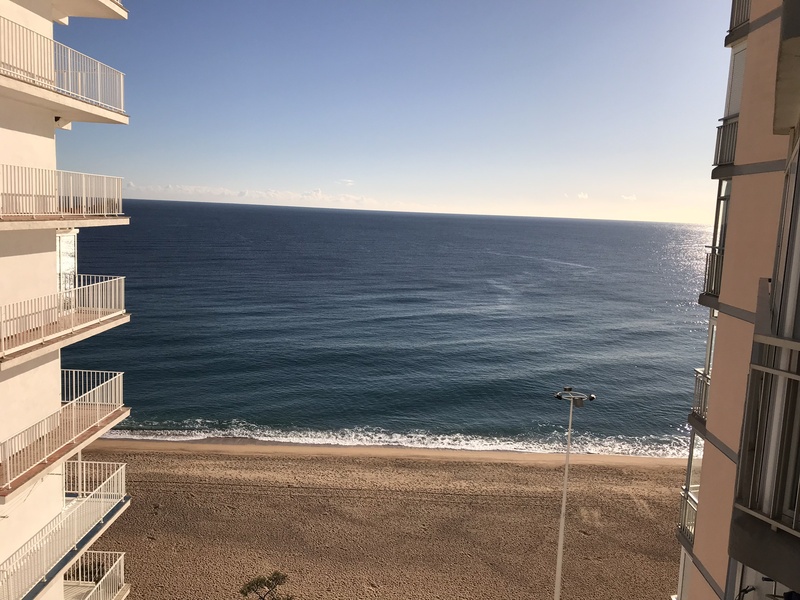 Apartment located on the beach in the building Suntower. 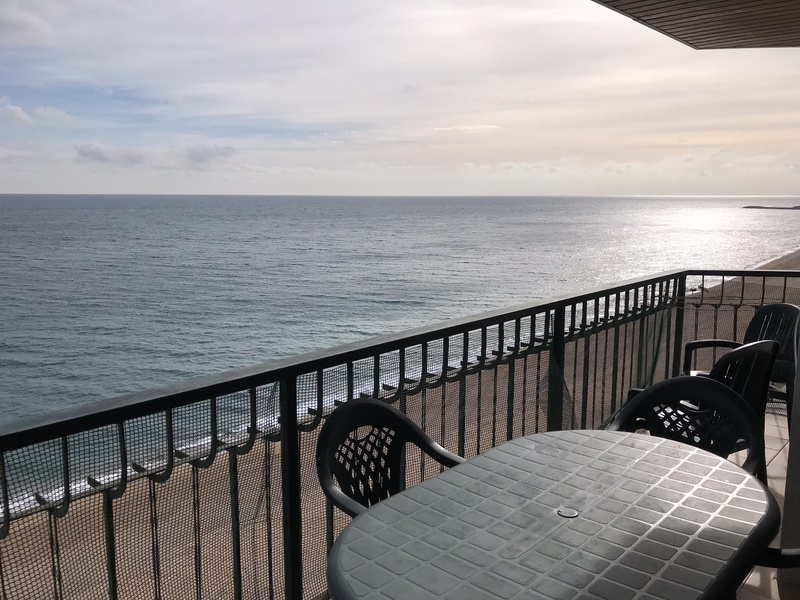 Apartment located in the Nautical Club of Playa de Aro, about 100m from the beach and one km from the center of Playa de Aro. 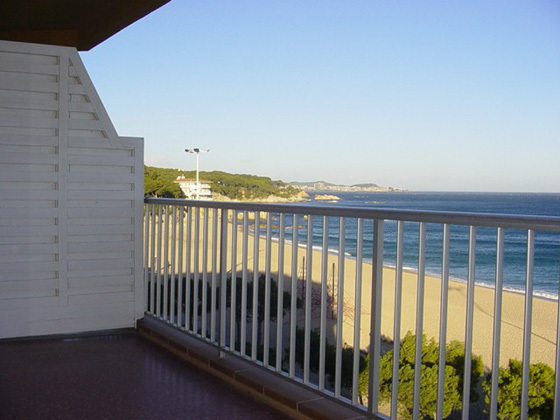 Apartment situated in the building Las Velas about 200 m from the beach and about 400 m from the centre of Playa de Aro. 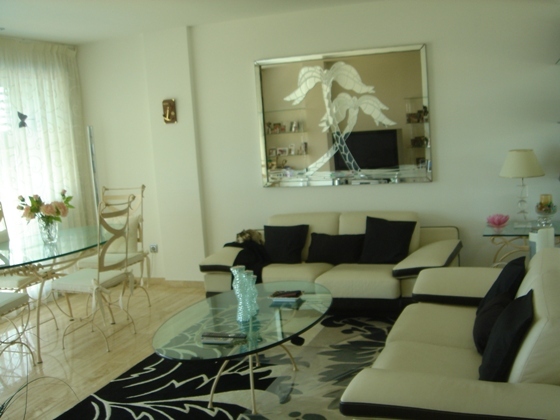 Apartment situated in the center of the town in the building Albatros. 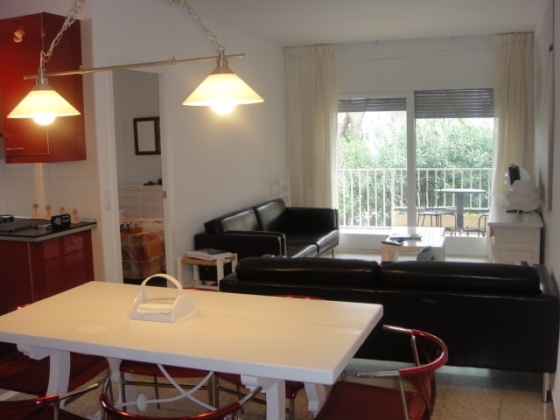 Apartment situated in the building Nereides. 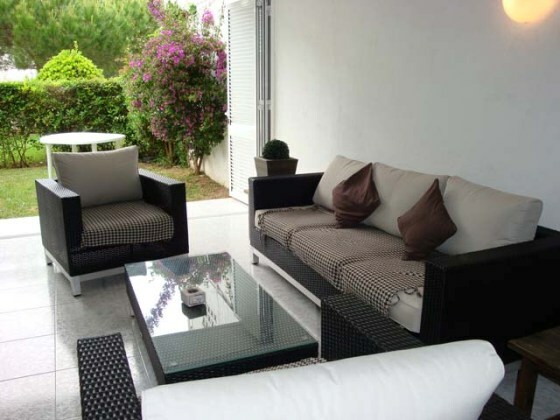 Situated at 700m from the beach. 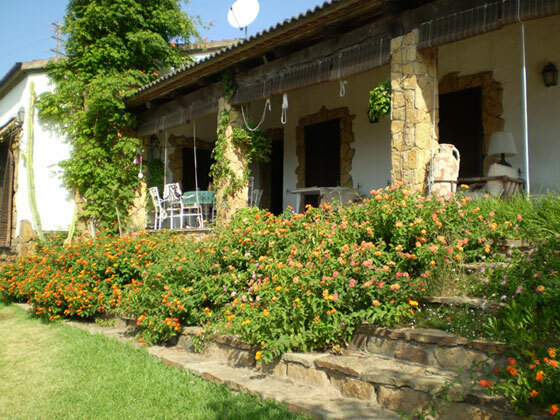 House located in the urbanization MAS PLA about 3 km. 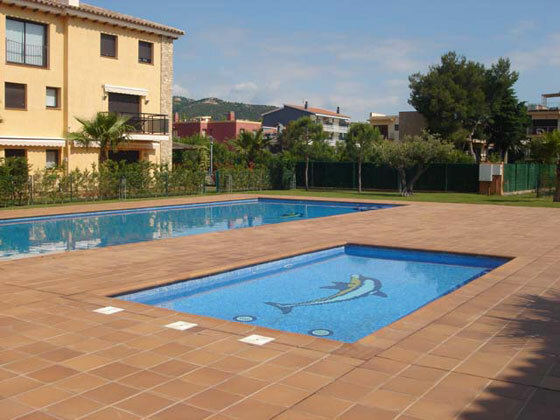 Situated at 2km from the center of Playa de Aro and sea. 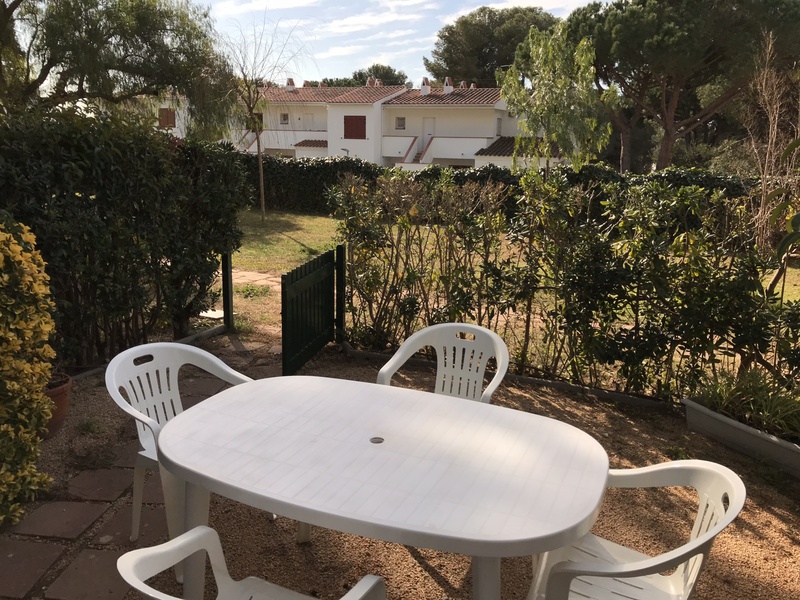 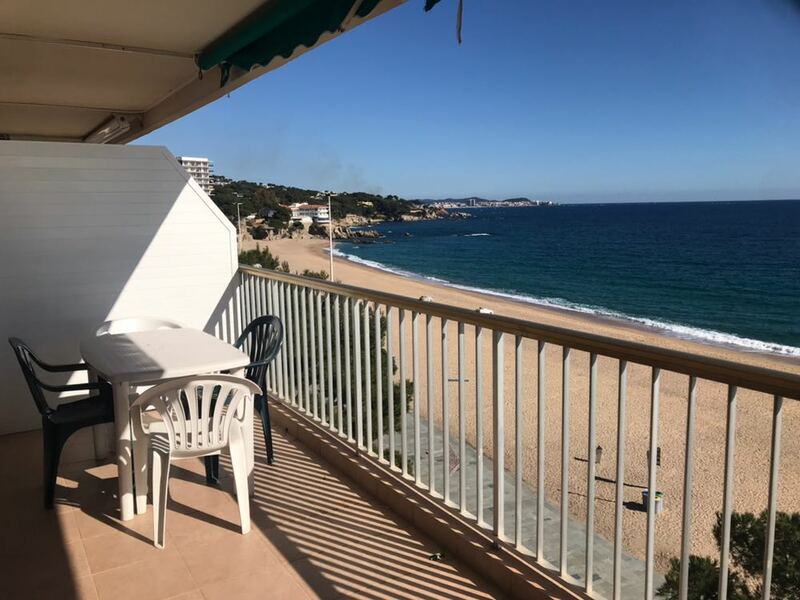 Apartment located in the building Alba V in SAgaro. 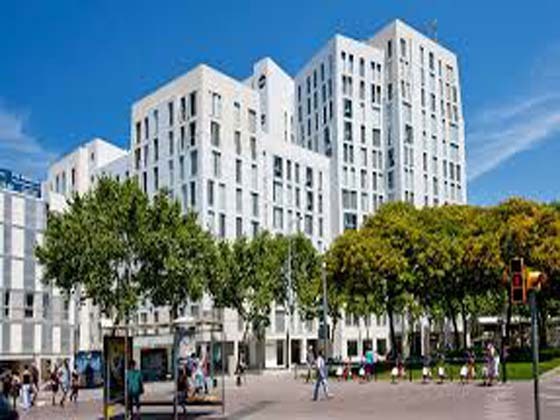 Located in the Fanals building on the first line of the sea. 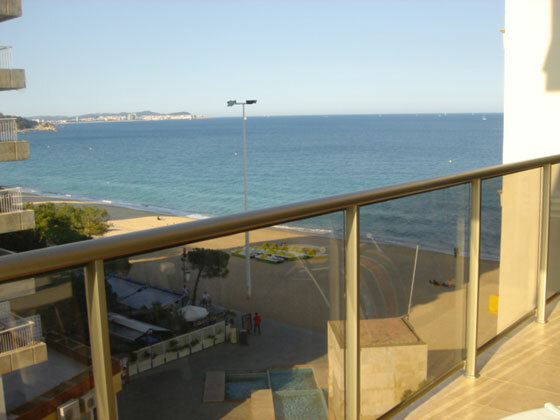 Apartment situated in the building on the beach and in about 400m from the center of Playa de Aro. 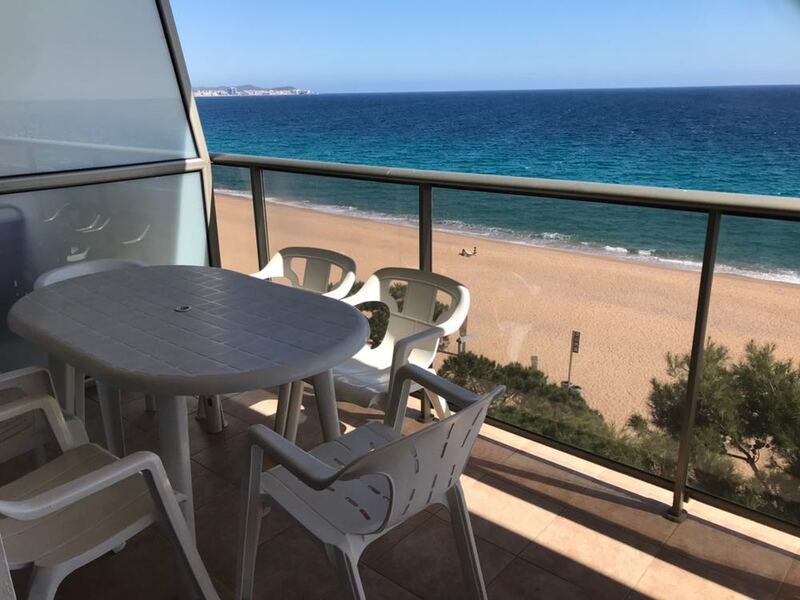 Apartment situated in the complex Oriol Center about 300 m from the beach and about 500 m from the centre of Playa de Aro. 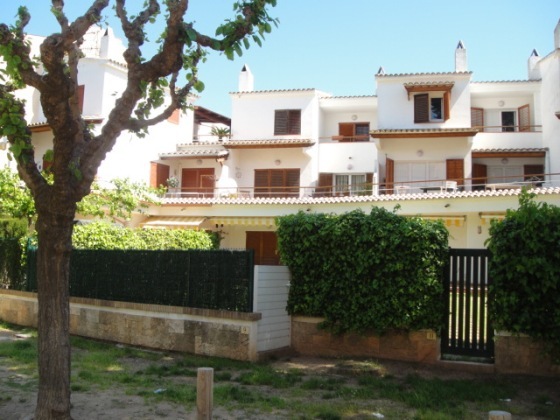 Townhouse located about 1200m from the beach and the center of Platja d´Aro. 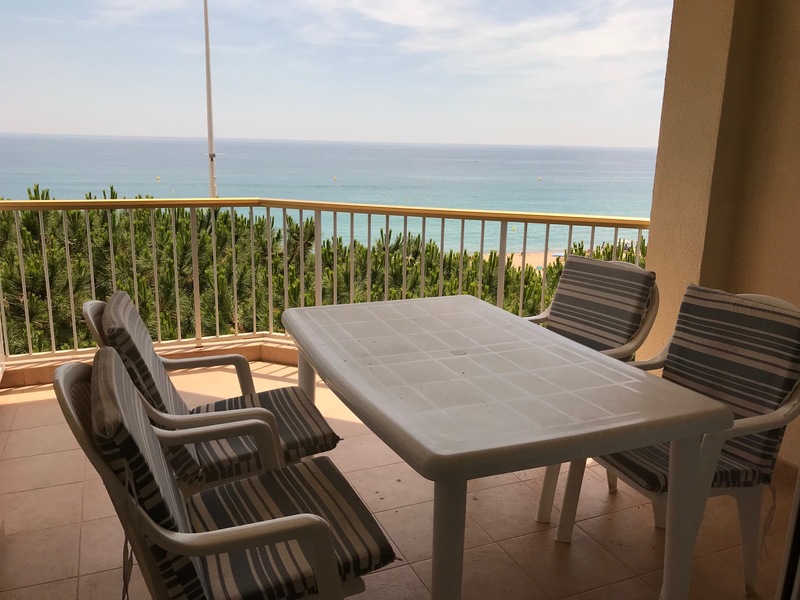 Apartment situated in about 400m from the beach. 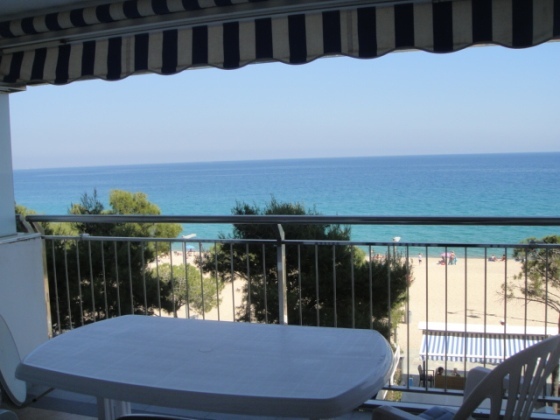 Situated on the beach, 100m from the center of Playa de Aro. 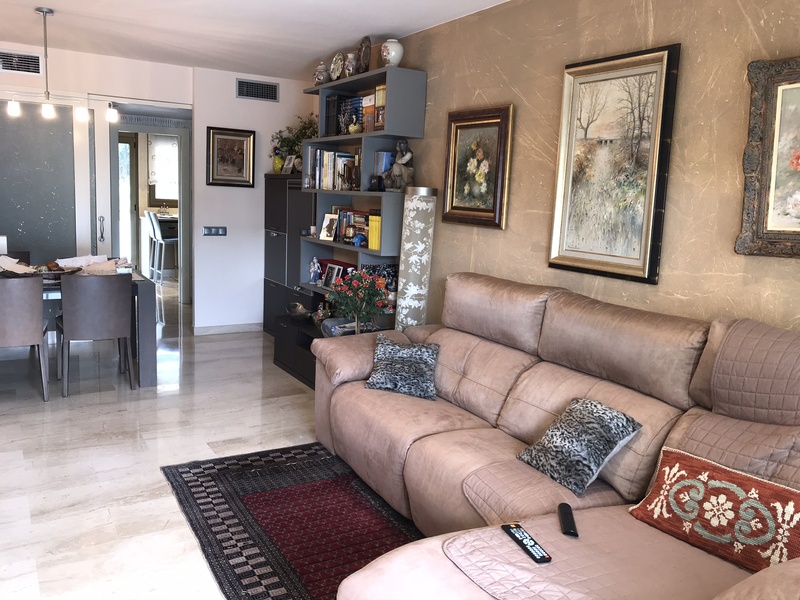 Apartment situated in the building President, composed by 2 bedrooms, 1 bathroom, separated w.
Apartment located in the center of Barcelona. 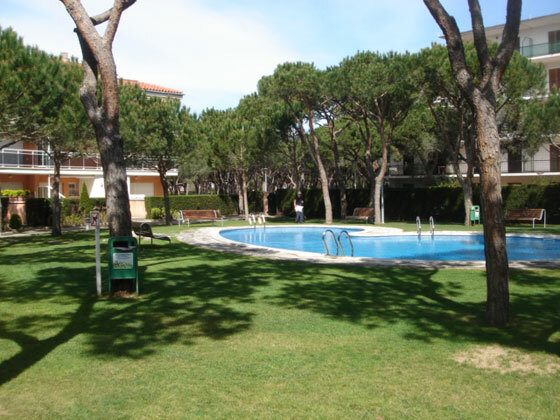 Apartment located in the urbanization Los Pinos, 1 km from the beach and about 1´5 km from the center of Playa de Aro. 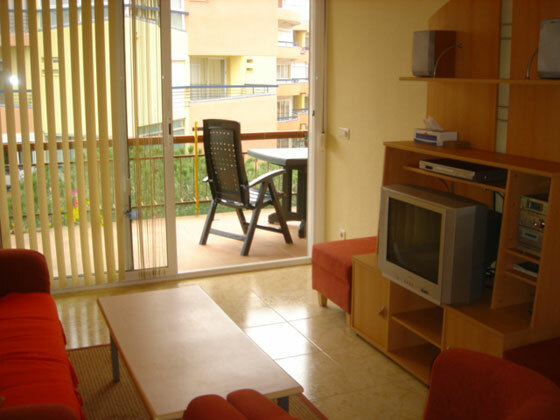 Apartment situated in the building Edelweiss. 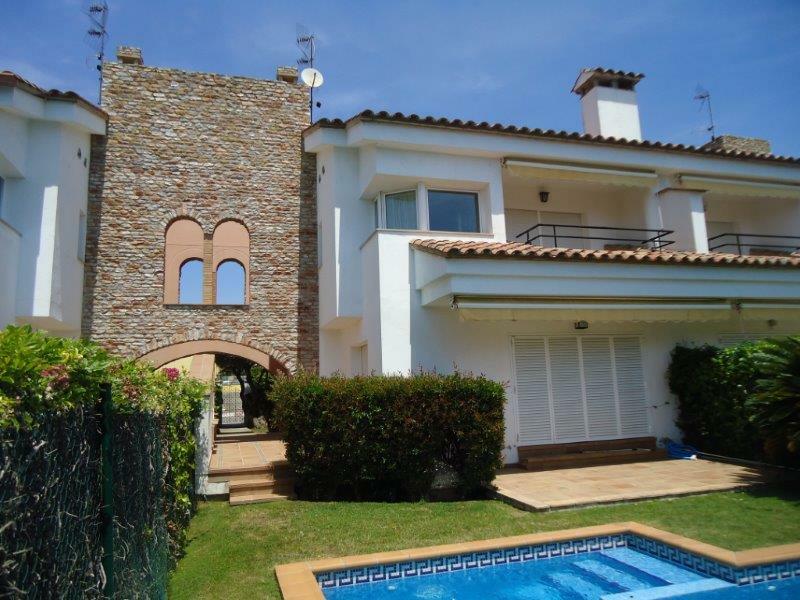 Fantastic frontline house with panoramic sea views. 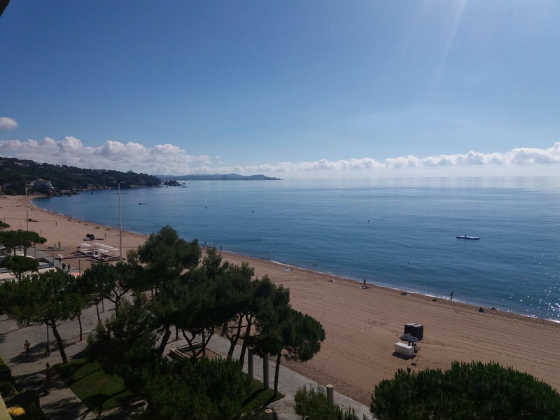 Duplex apartment located 300 m.
Apartment situated in the building Marbel about 200 m from the beach and from the centre of Playa de Aro. 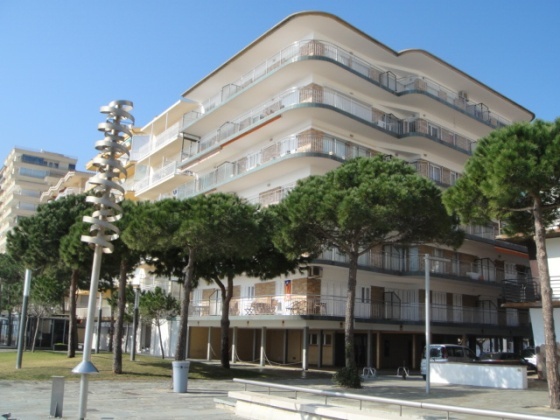 situated in the building Royal Marina. 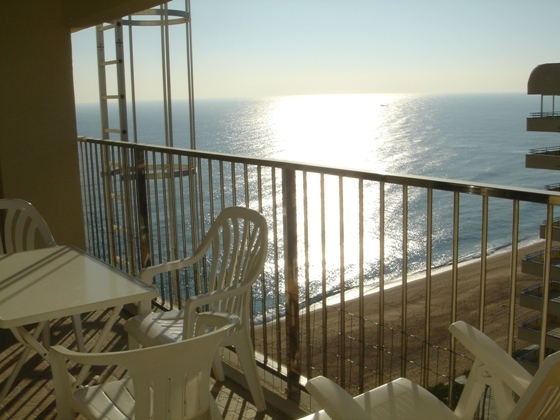 Apartment situated on the beach in the building Elypalace. 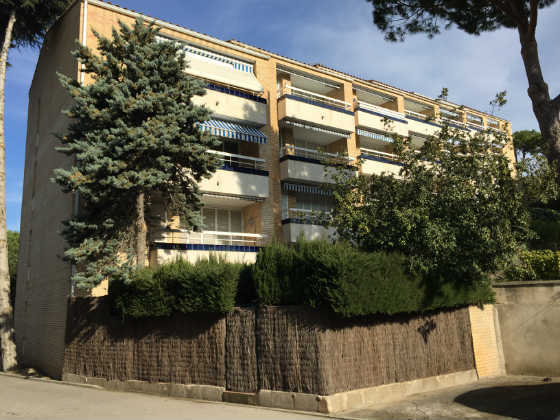 Apartment located between S´agaró and St. 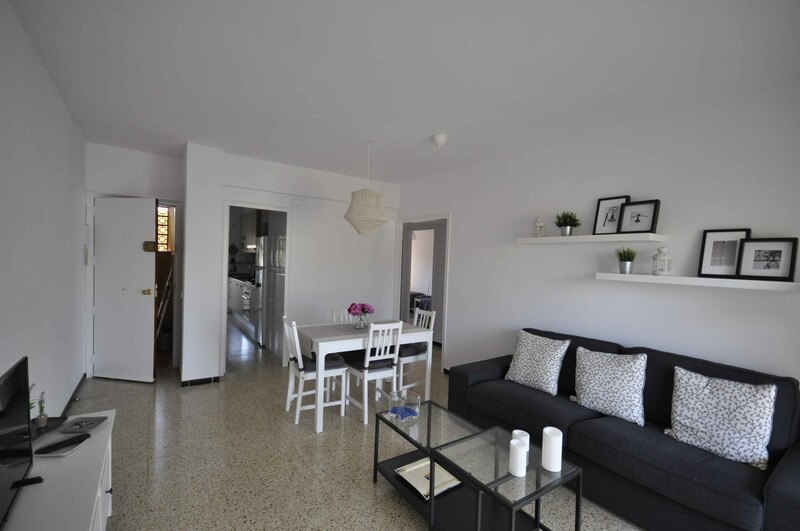 Apartment situated in the building Catalunya. 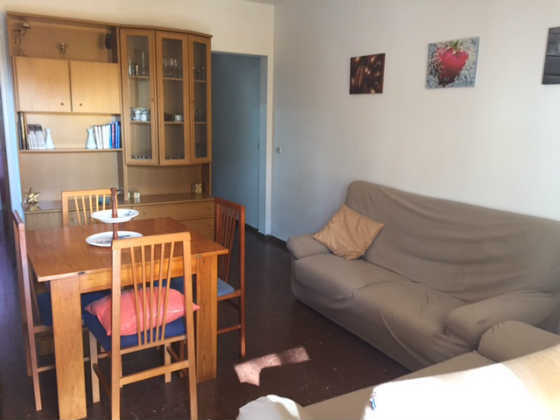 Appartment situated in the urbanisation Politur. 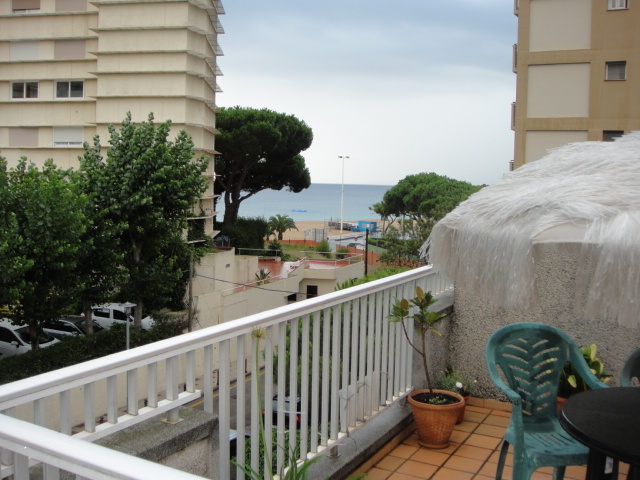 Apartment situated in Carle Magne about 100m from the beach and at the center of Playa de Aro. 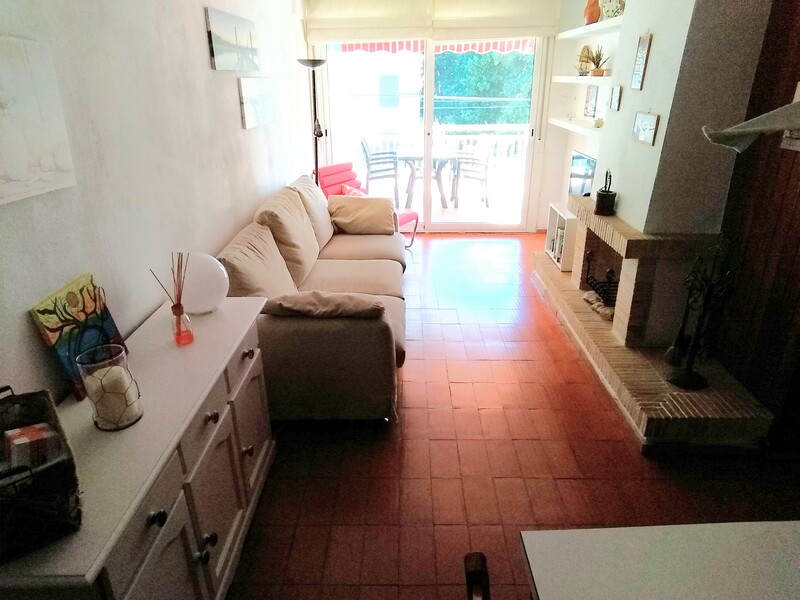 Duplex located on the beach about 100m from the center of Playa de Aro. 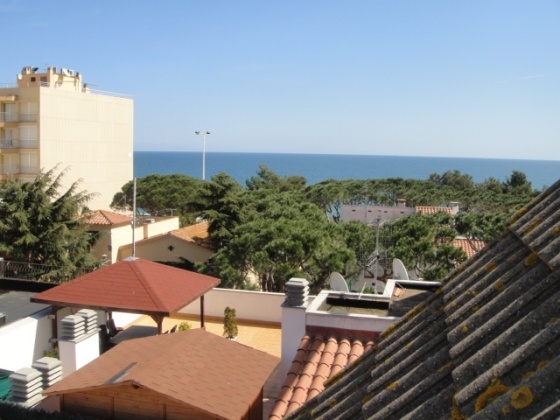 Apartment situated in about 150m from the beach in the building Trvol. 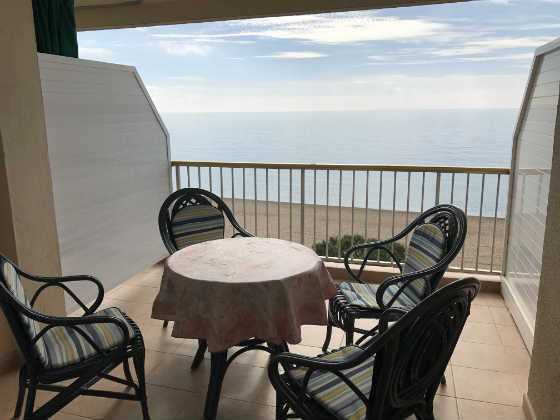 Apartment situated in the building President, composed by 2 bedrooms, 1 bathroom, kitchen, living-dining room with access to the terrace facing the sea. 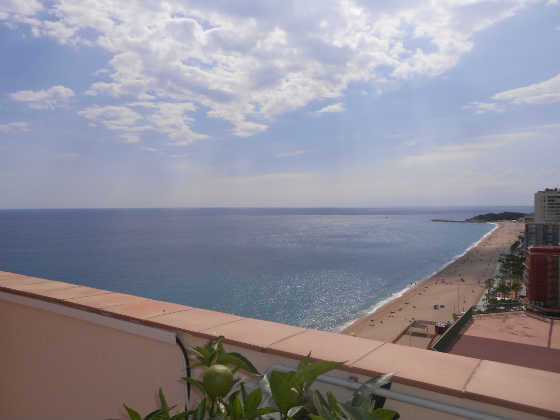 Apartment located about 150m from the beach in the Sta Maria Fanals building. 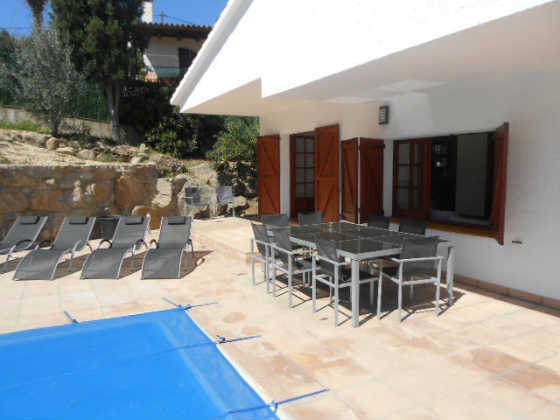 Attached house situated at about 700m from the beach. 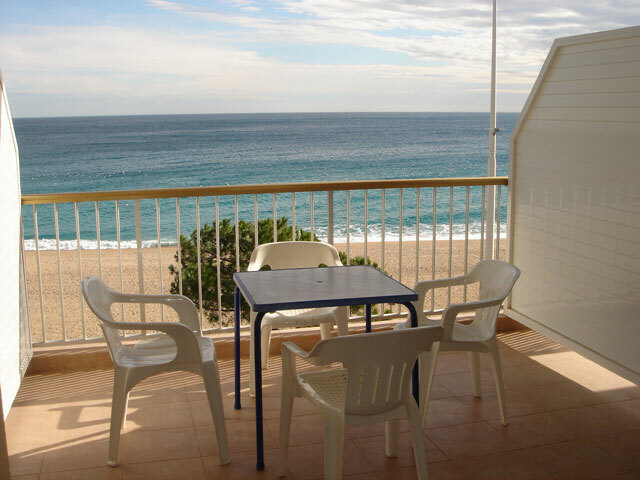 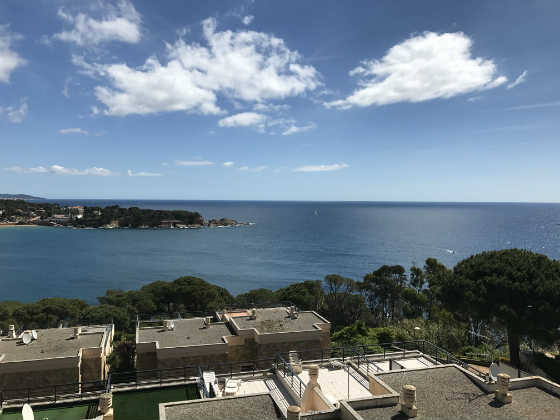 Apartment situated in SAgaro in the building Nautic Aro. 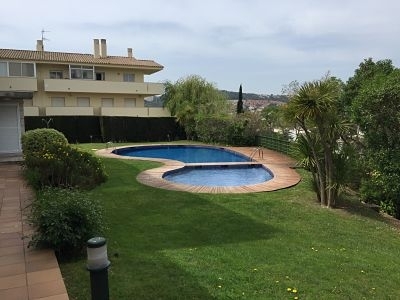 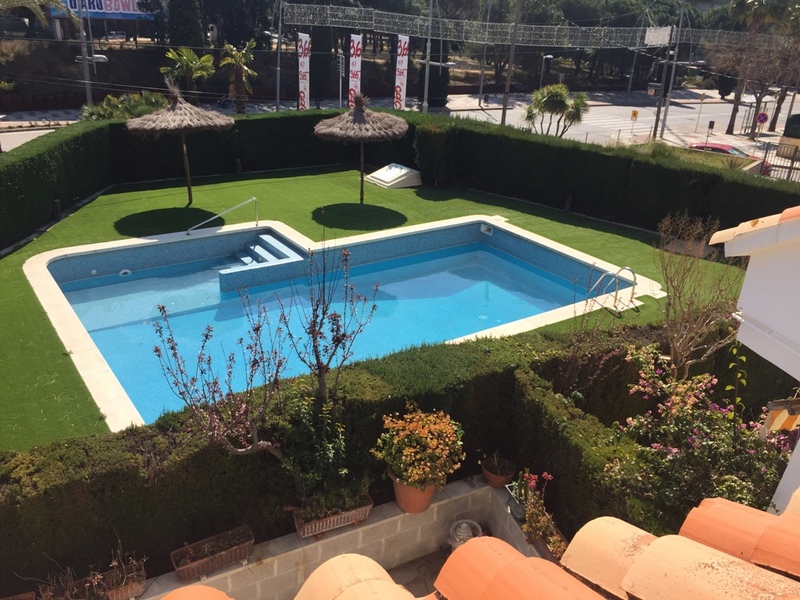 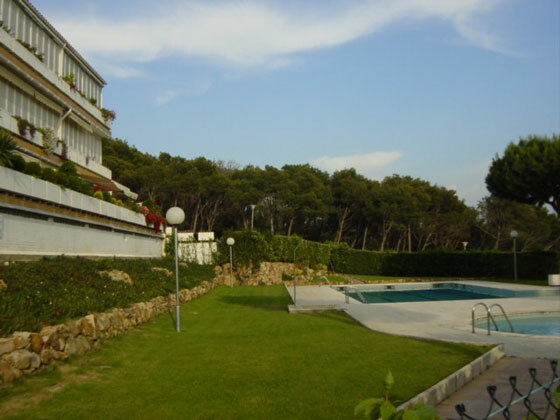 House located about 50m from the beach and about 100m from the center of Platja d´Aro. 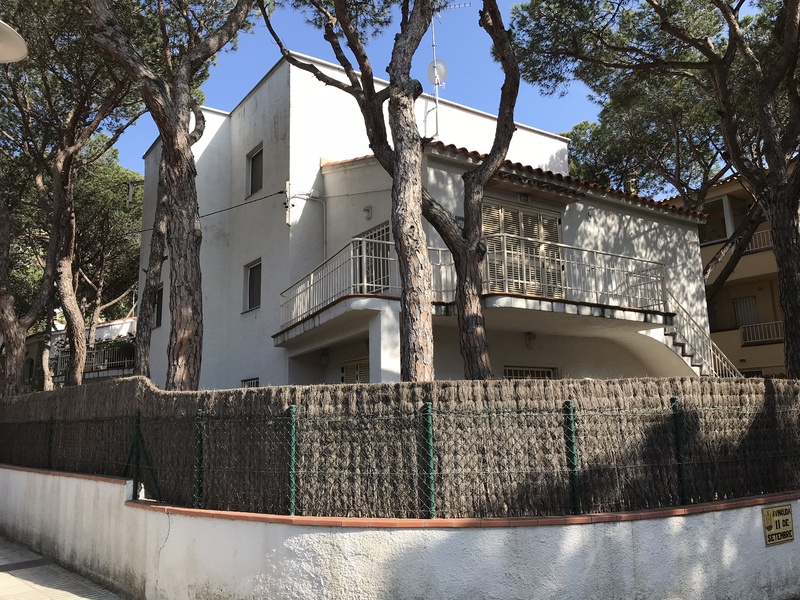 House located at 3km from the beach. 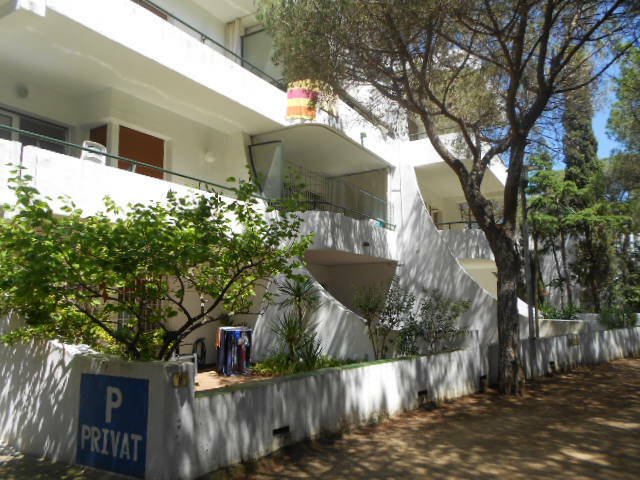 Apartement situated on the beach about 100 m from the centre of Playa de Aro. 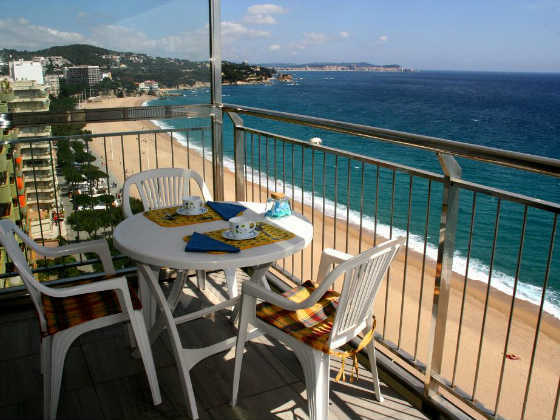 situated at 600m from de beach and in about 800m from the center of Playa de Aro. 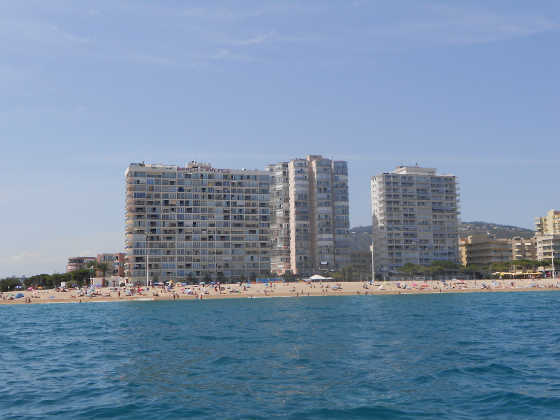 Apartment on the beach and about 450 m from the centre. 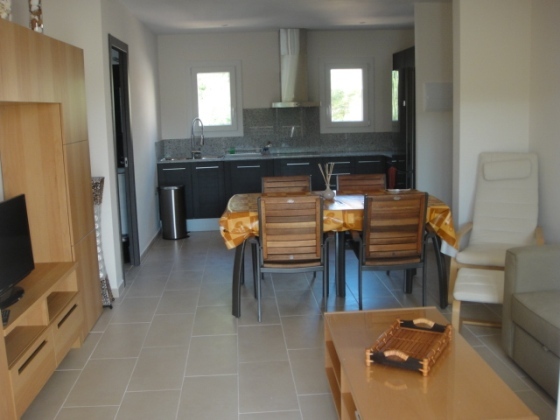 Apartment located in the urbanization Politur. 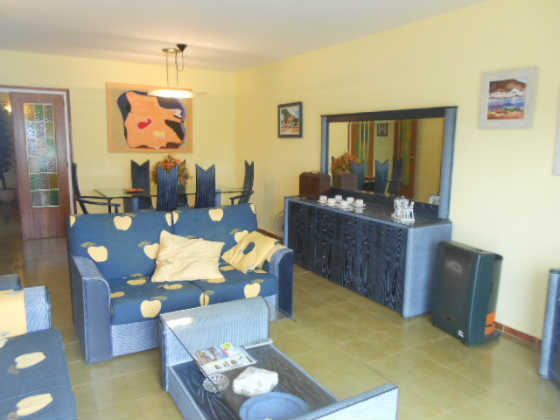 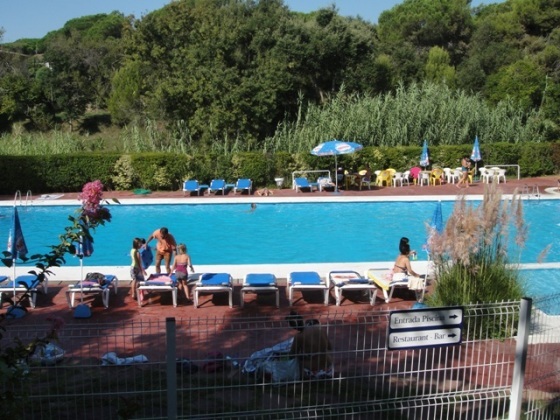 Apartment located in about 50m from the beach in the building Athenea. 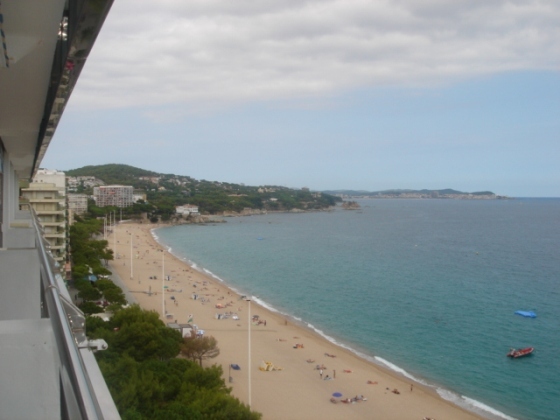 Apartement situated in on the beach about 100 m from the centre of Playa de Aro. 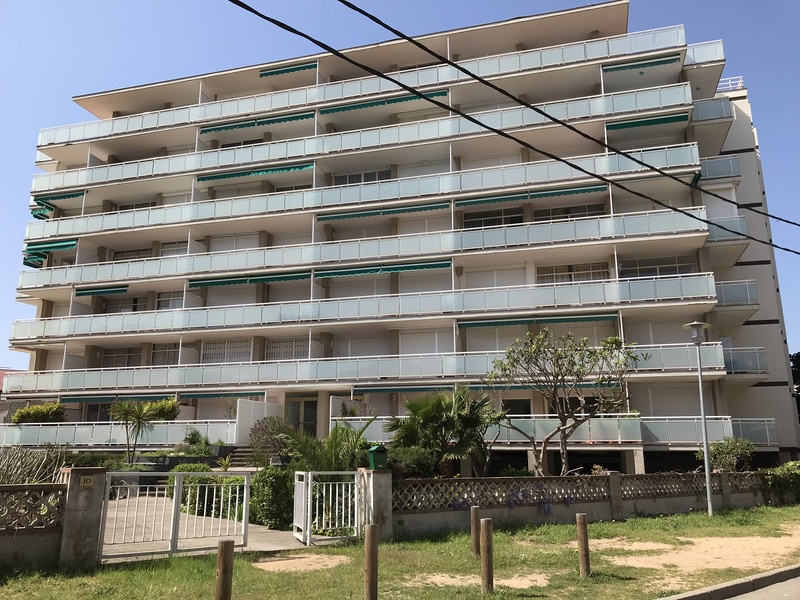 Complex LES HEURES at 200m from the beach and 700m from the center. 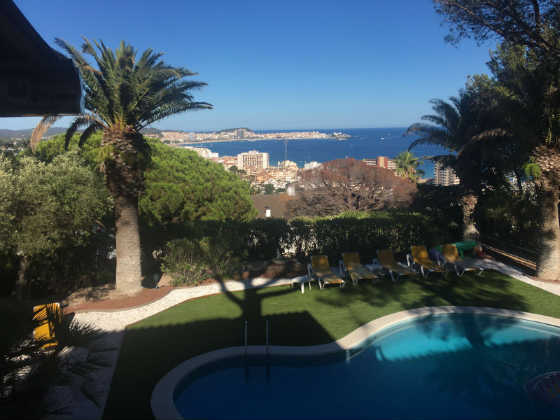 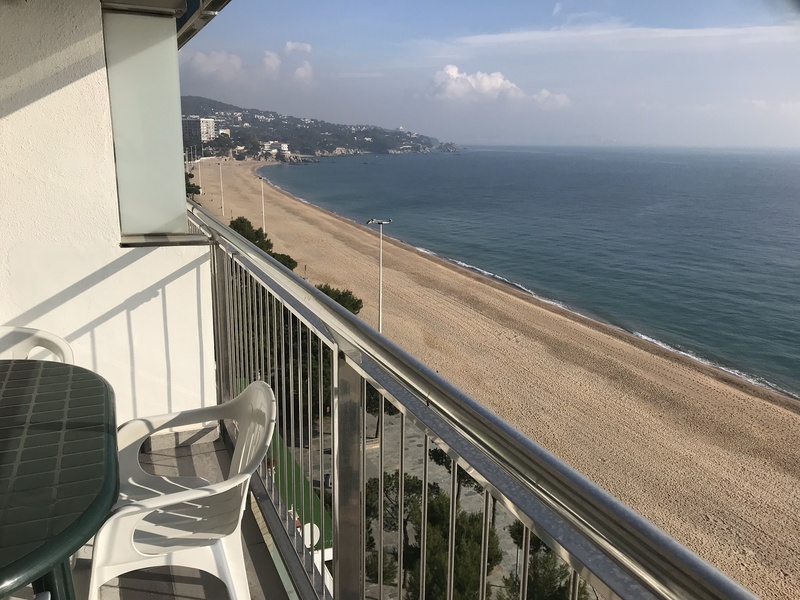 Apartment located in the Nautic Aro complex in S´Agaró with fantastic views. 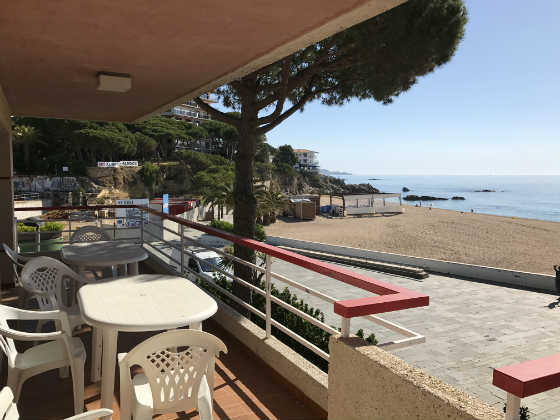 Apartment situated in the urbanisation Politur about 600 m from the beach and about 800 m from the centre of Playa de Aro. 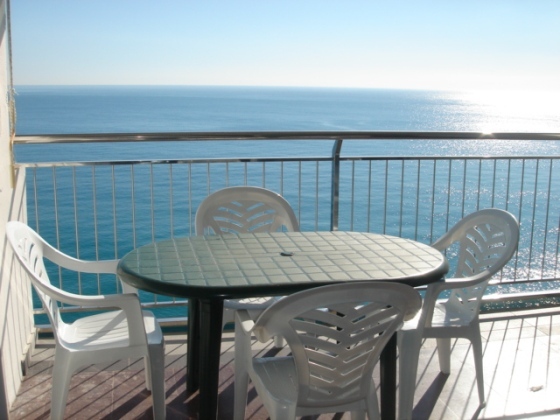 Apartment located in the President building, consisting of 3 bedrooms with balcony overlooking the sea, 1 bathroom, living room with balcony overlooking the sea, fully equipped kitchen, and an exclusive private terrace (250 m²) with sea views , Solar shower, flowers and 6 chairs, 15th floor with elevator and community parking. 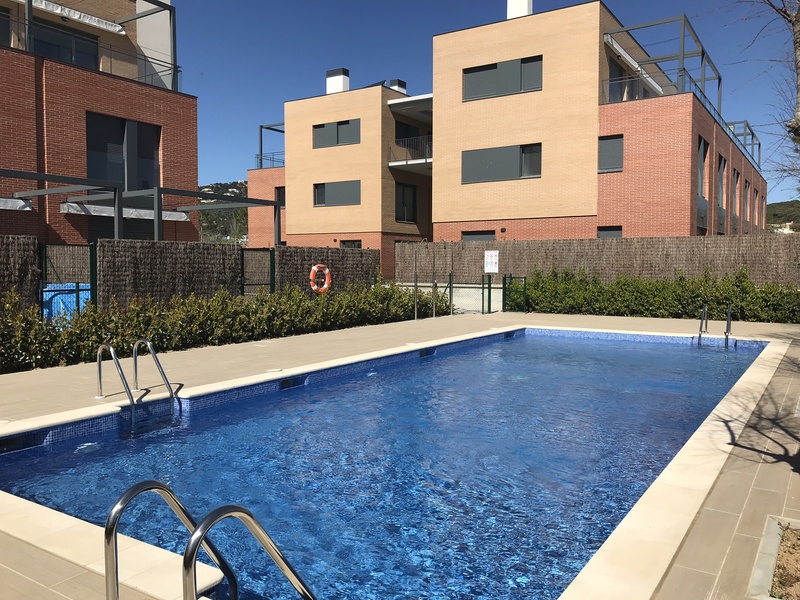 Apartment situated in the complex La Bovila. 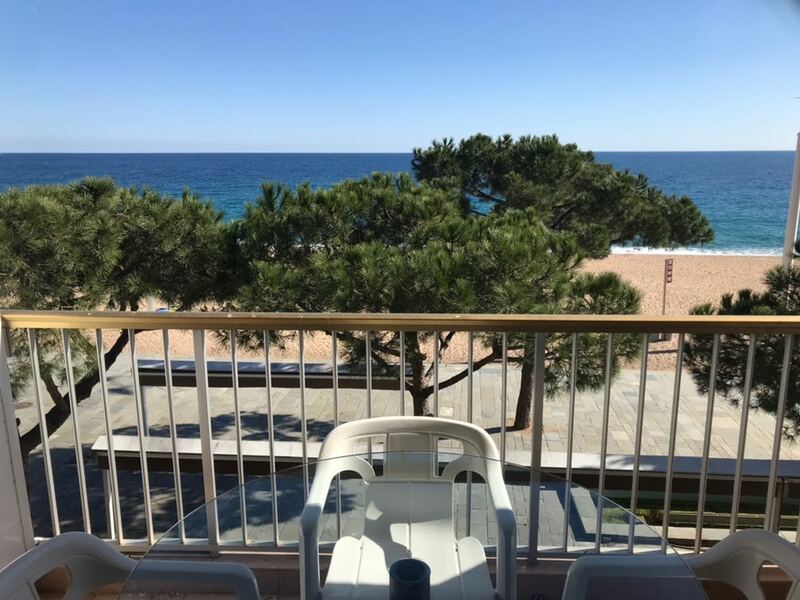 Apartment situated in the building Mas Sais in about 300m from the beach and in about 500m from the center of Platja d´Aro. 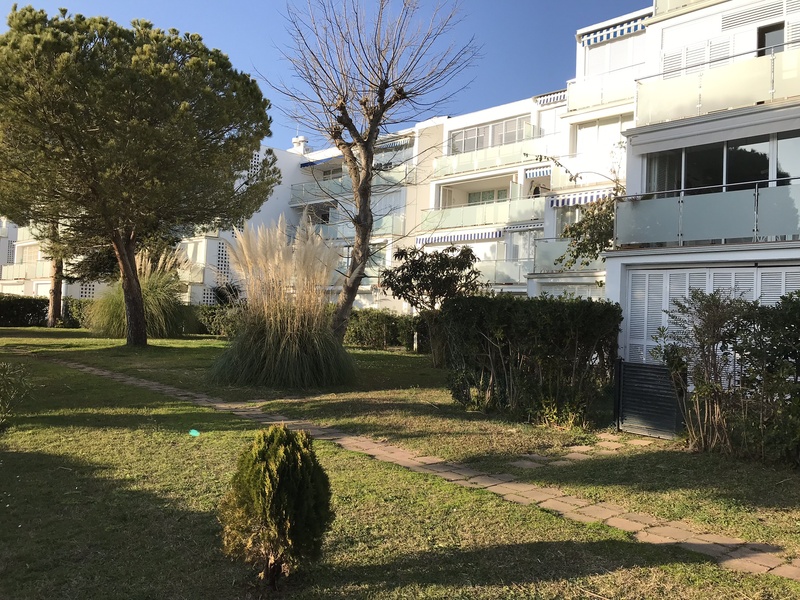 Apartment situated in the building Voramar VII about 50 m from the beach and about 100 m from the centre of Playa de Aro. 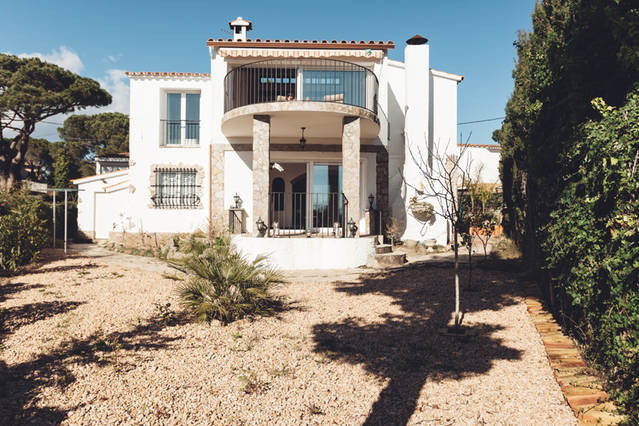 House situated in the urbanisation Mas Vilar in Sant Antoni de Calonge. 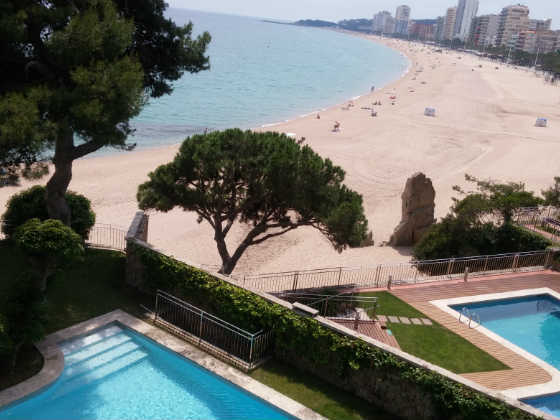 Apartment situated in 50m from the beach. 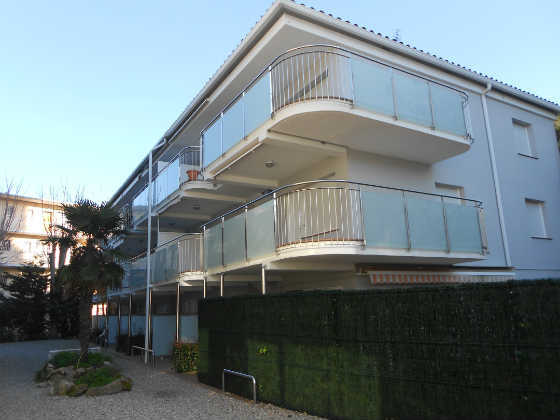 Appartment situated in about 500m from the beach in the building Apolo. 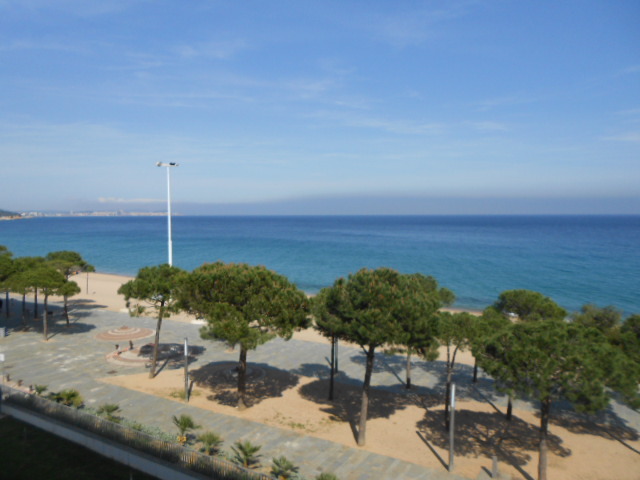 Apartment located in the Capanama building in front of the beach and about 100 m from the center of Platja d´Aro. 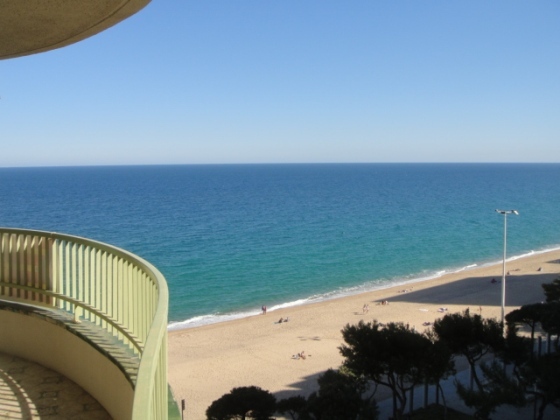 Apartment located in the marina in Playa de Aro. 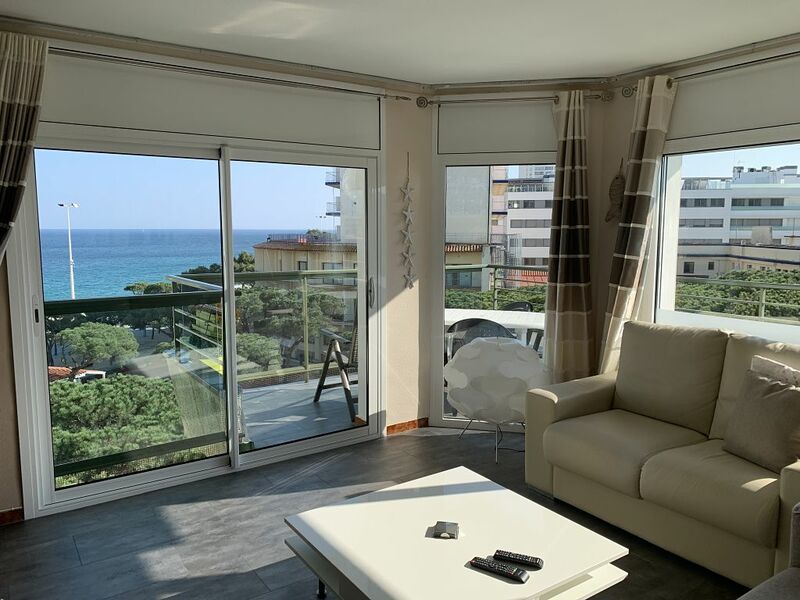 Apartment situated in the building Elypalace on the beach. 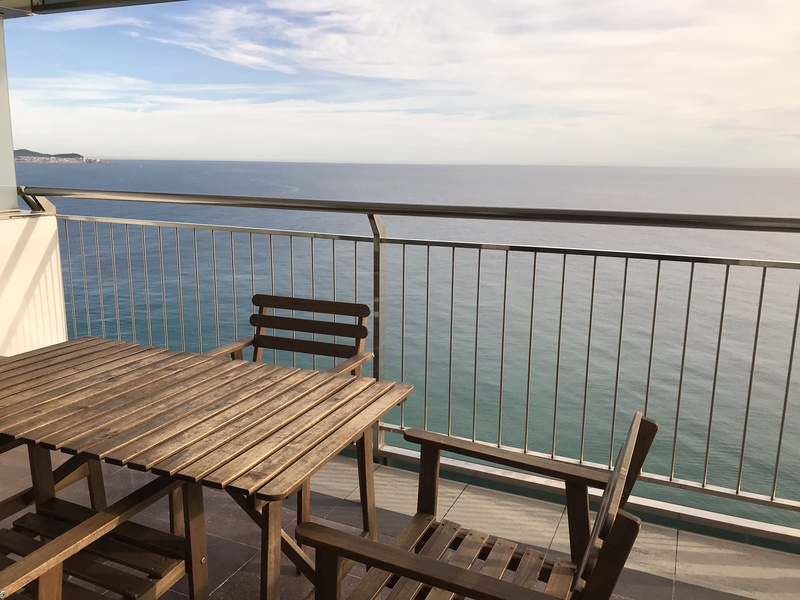 Apartment located on the beach in the building Swisstower. 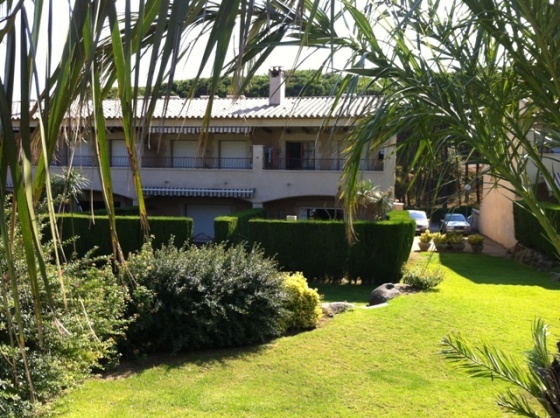 House located in residential area of Playa d´Aro 400m from the beach. 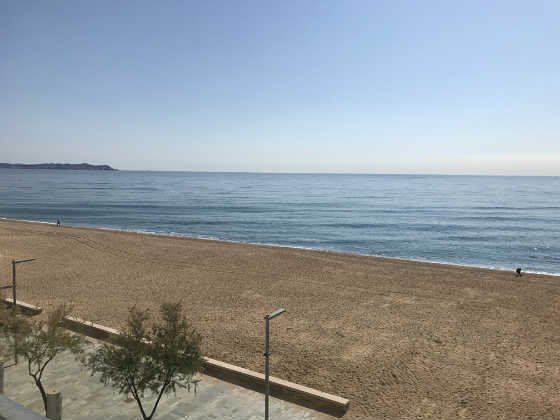 Ground floor located in the center of Platja d´Aro and 100 m.
Apartment located on the beach of San Pol. 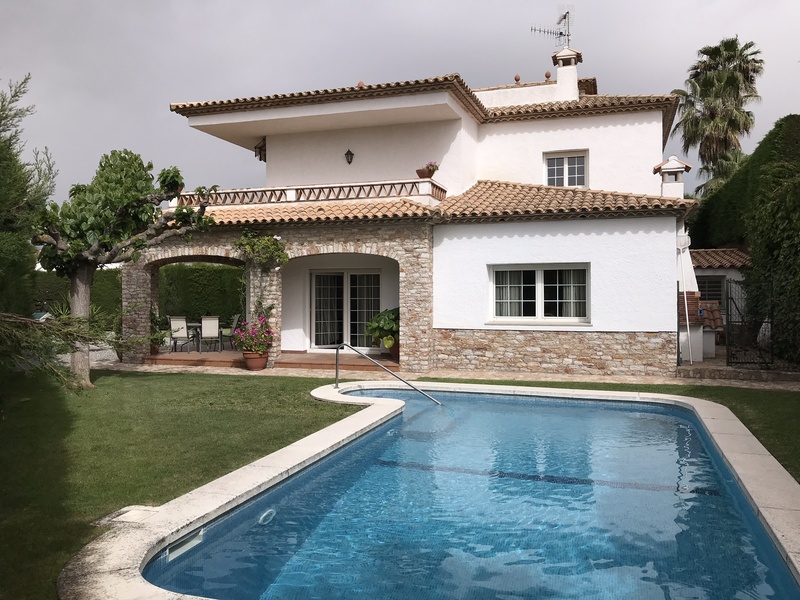 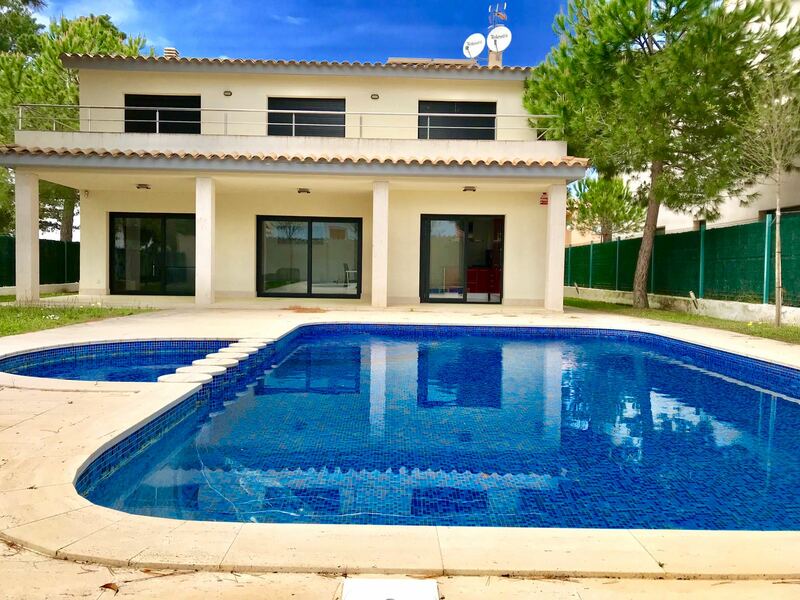 House composed by 5 bedrooms, 3 bathrooms, kitchen, living-dining room with access to the terrace and private garden facing the pool. 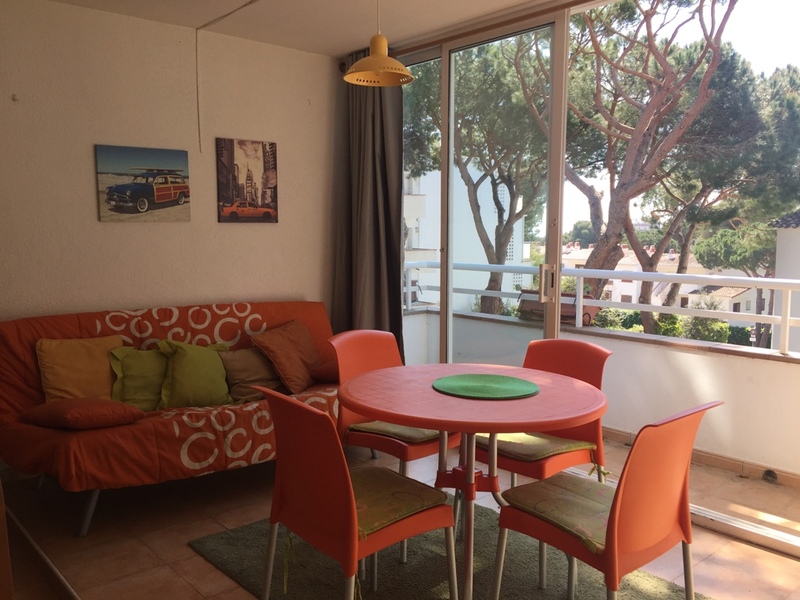 Apartment located at 400m from the beach. 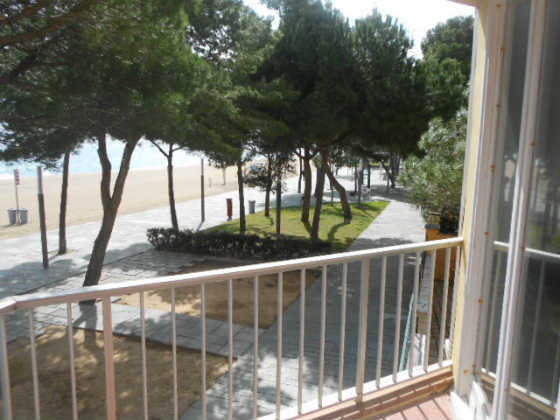 Apartment situated at 200m from the beach. 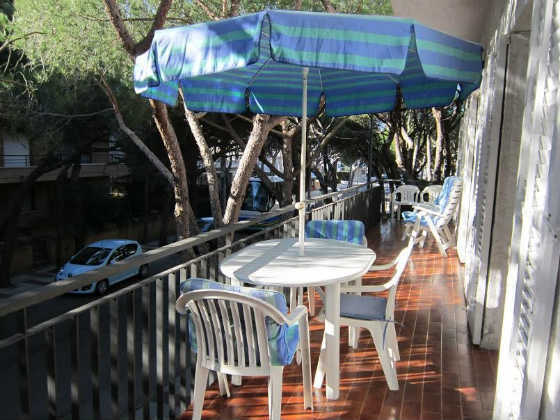 Apartment situated in the building Mercurio about 150 m from the beach and about 500 m from the centre of Playa de Aro. 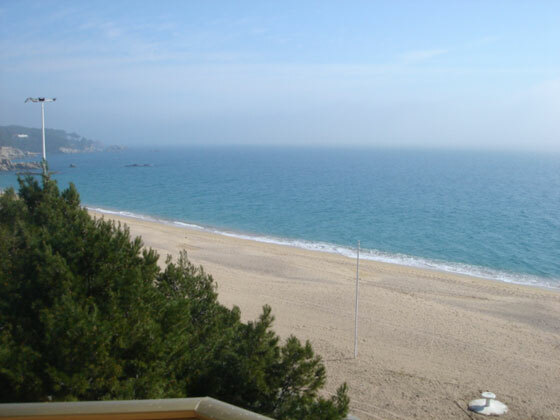 Apartment situated in about 200m from the beach and in about 300m from the center of Playa de Aro. 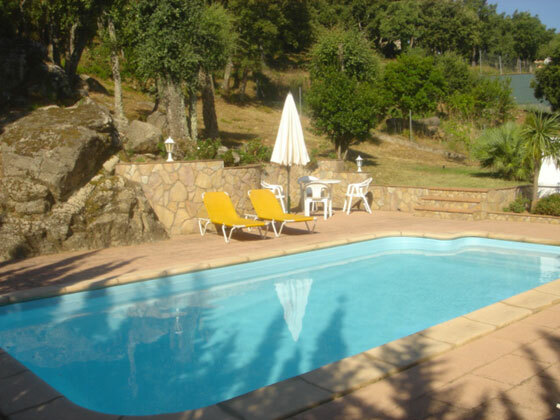 Situated à Politur at 700m from the beach. 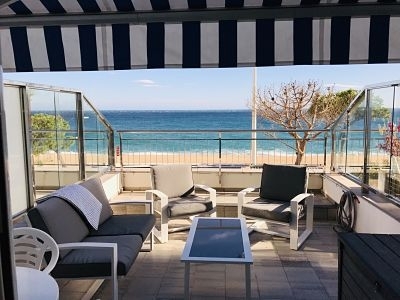 Apartment situated on the beach in the building Catalunya. 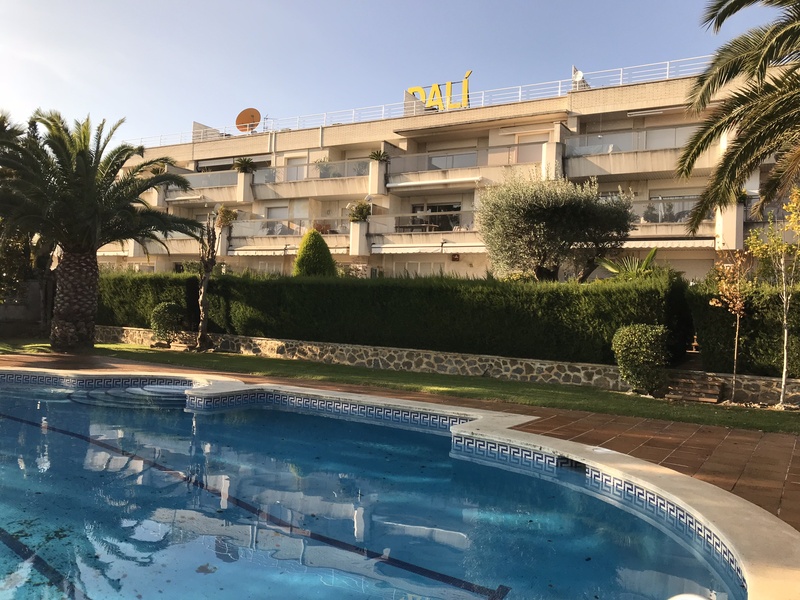 Duplex situated in the building Ely Palace on the beach. 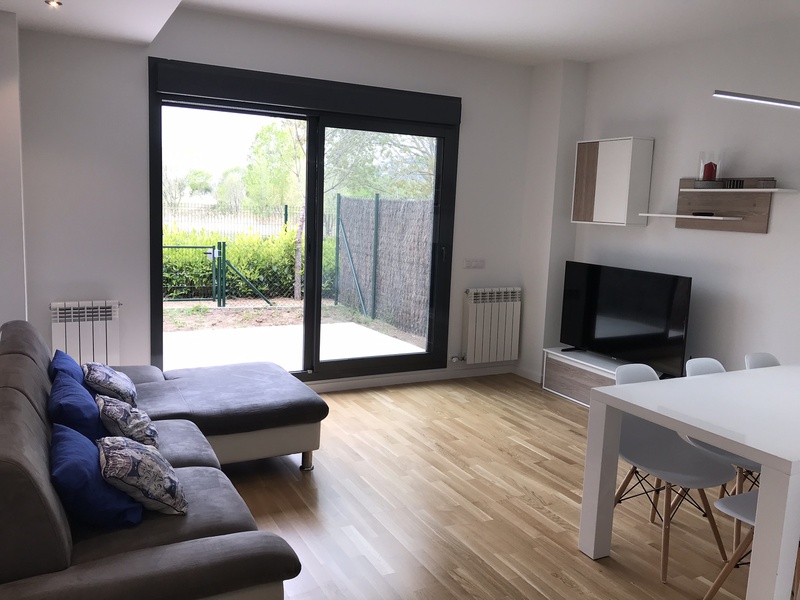 New construction apartment about 100m. 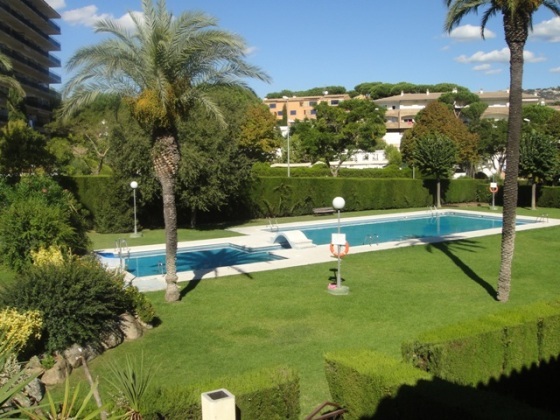 Apartment located in the complex Rancho Suizo in about 150m from the beach. 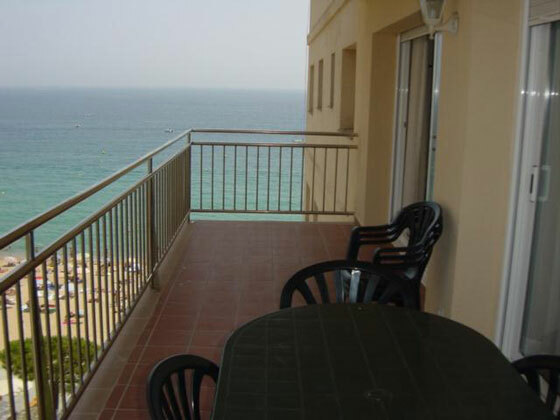 Apartment situated in front of the beach in the building Alexandra. 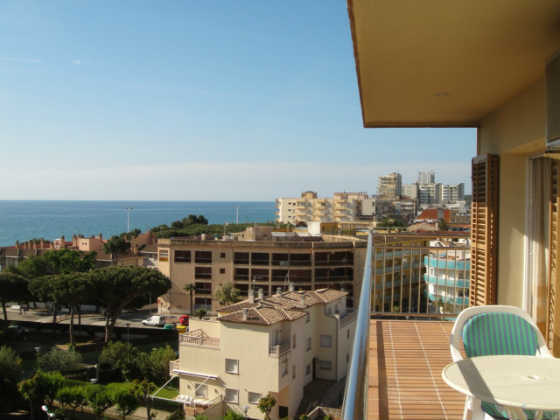 Apartment located in the urbanization Politur, about 800m from the beach. 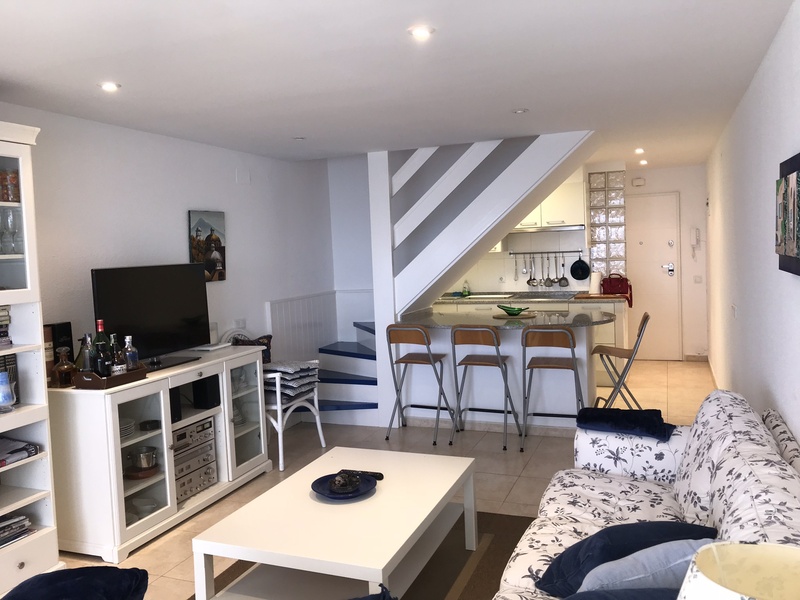 Apartment situated on the beach. 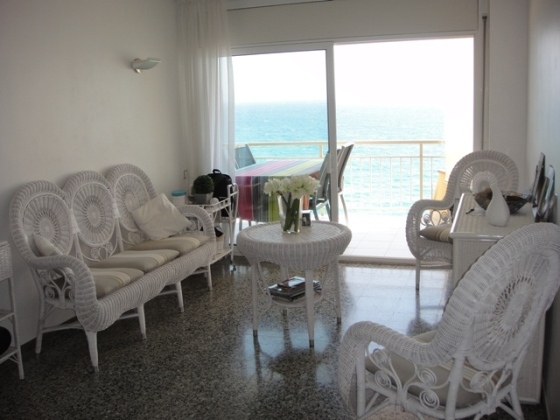 Studio located in the building Elypalace on the beach. 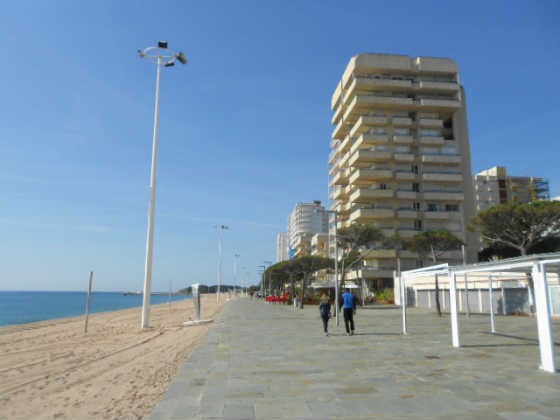 At about 100m from the beach. 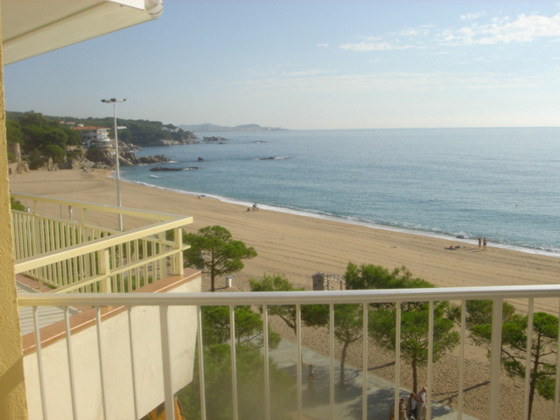 Apartment situated in the building Mar Blau about 200 m from the beach and about 400 m from the centre of Playa de Aro. 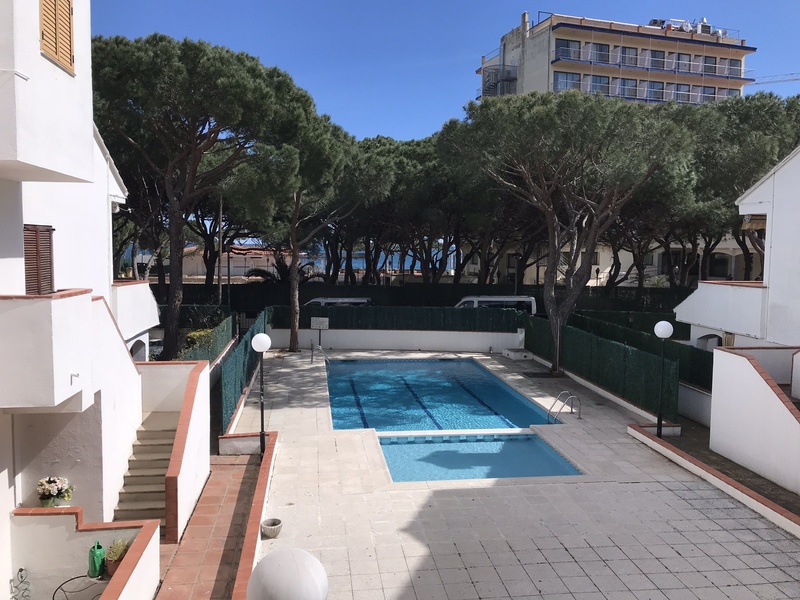 Apartment situated in the building Sa Conca. 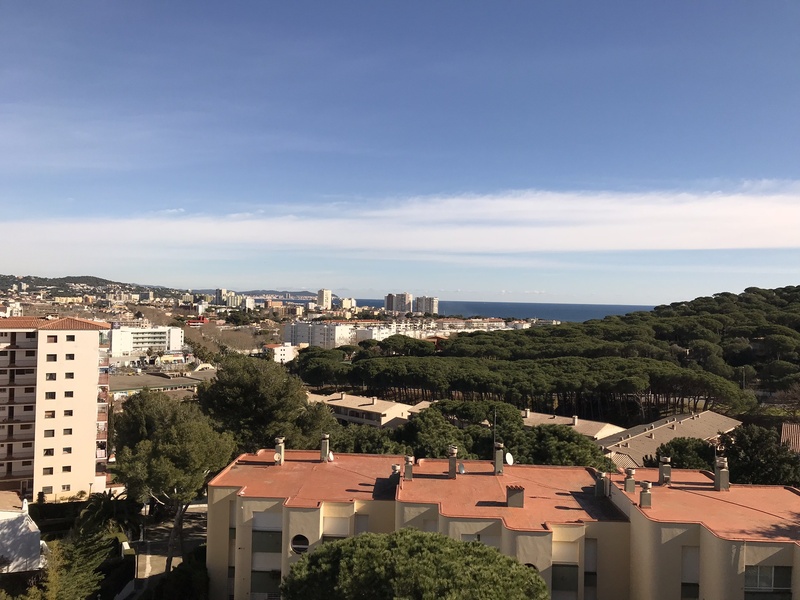 Apartement situated in the building Cannes about 50 m from the beach and about 500 m from the centre of Playa de Aro, composed by 2 bedrooms, 1 bathroom, kitchen, living-dining room with access to the terrace facing the sea. 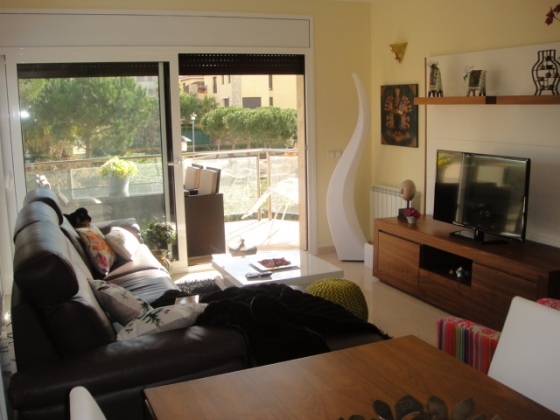 Apartment situated on the city center of Playa de Aro. 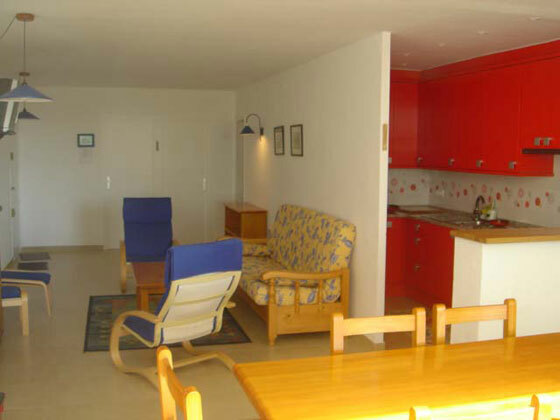 Apartment located in the Farolas building on the seafront and about 100m from the center of Playa dAro. 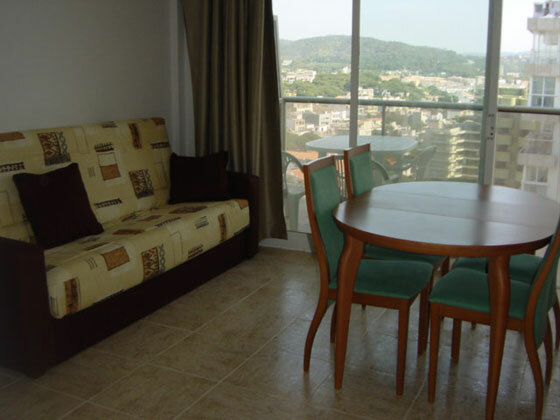 Apartment situated in the building Royal Marina. 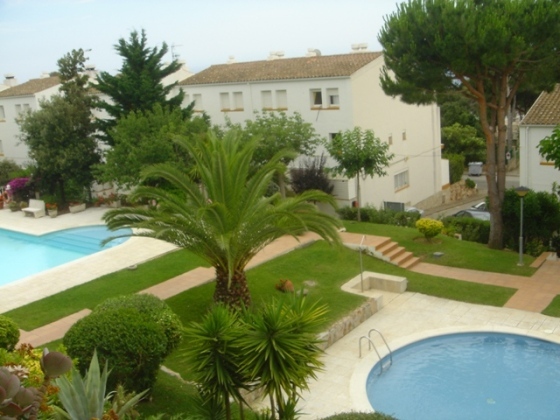 situated in the building Las Algas at 300m from the beach. 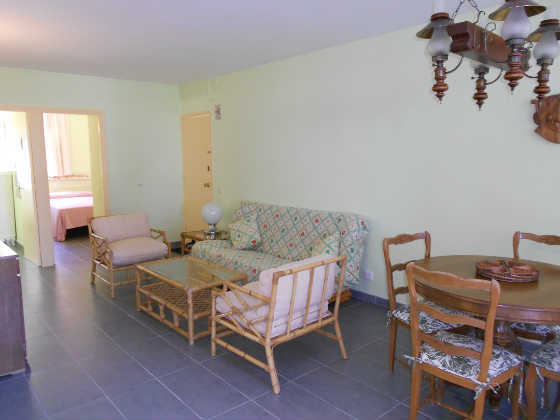 Apartment situated in the building Stela. 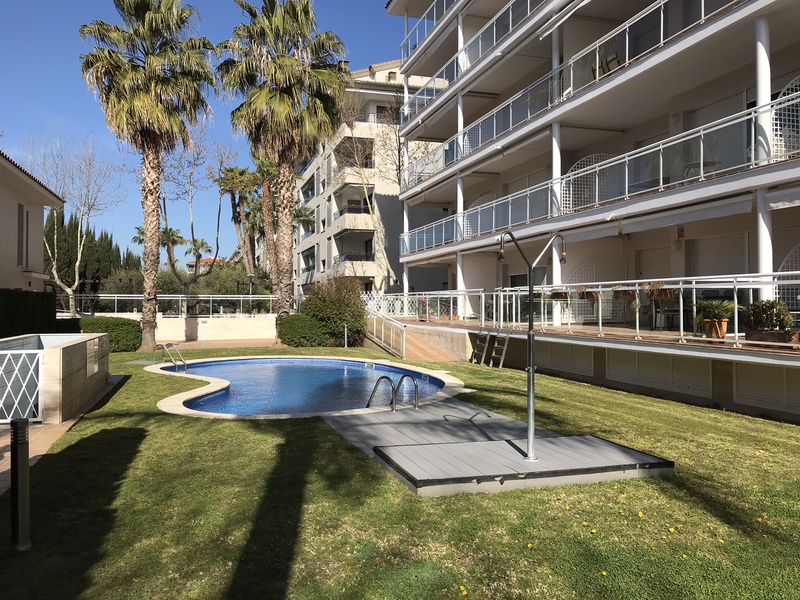 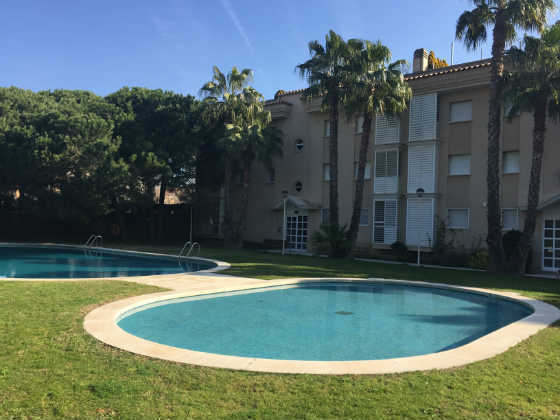 Apartment situated in the complex Bobila del Mar. 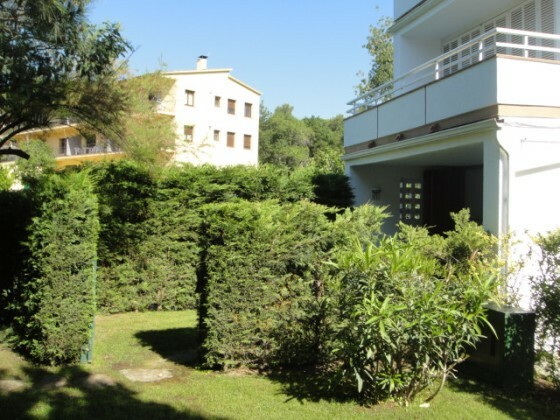 Composed by ground floor: 3 suite bedrooms, living room, equipped kitchen, dining room with access to swimming pool, garden. 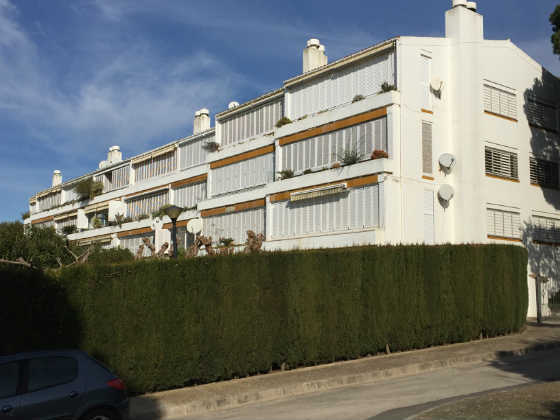 House situated in the urbanisation Treumal de Baix in Playa de Aro. 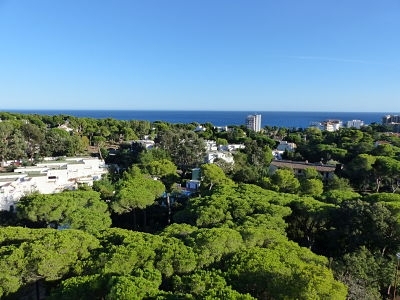 Apartment located in the urbanization Politur about 600m from the beach and about 800m from the center of Platja d´Aro. 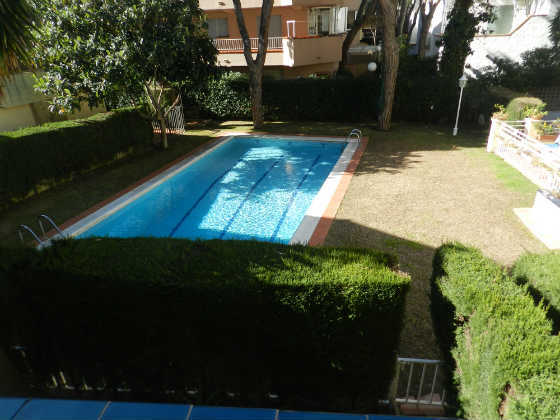 Duplex situated in the building Ely Palace on the beach and in about 100m from the center or Playa de Aro. 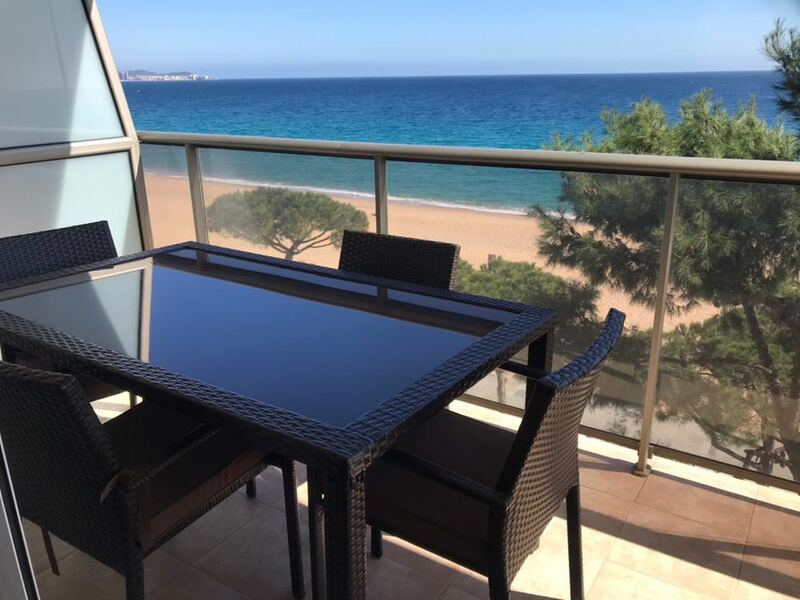 Apartment located on the beach in the building Elypalace. 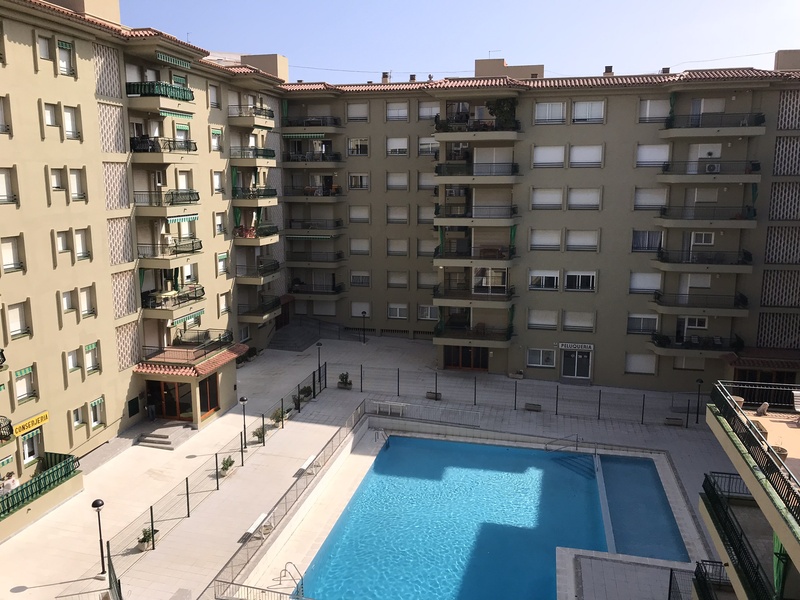 Apartment located in Oriol Center Complex. 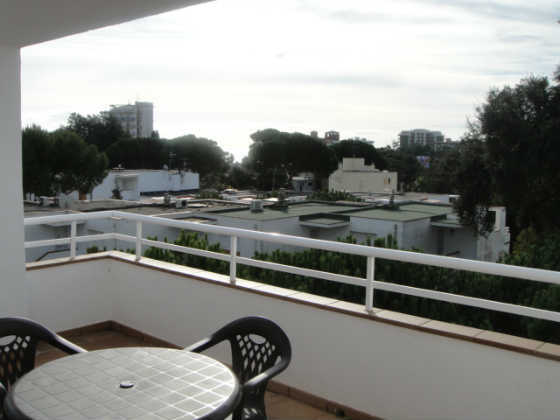 Apartment located in the urbanization Politur about 200m from the beach and about 500m from the center of Playa de Aro. 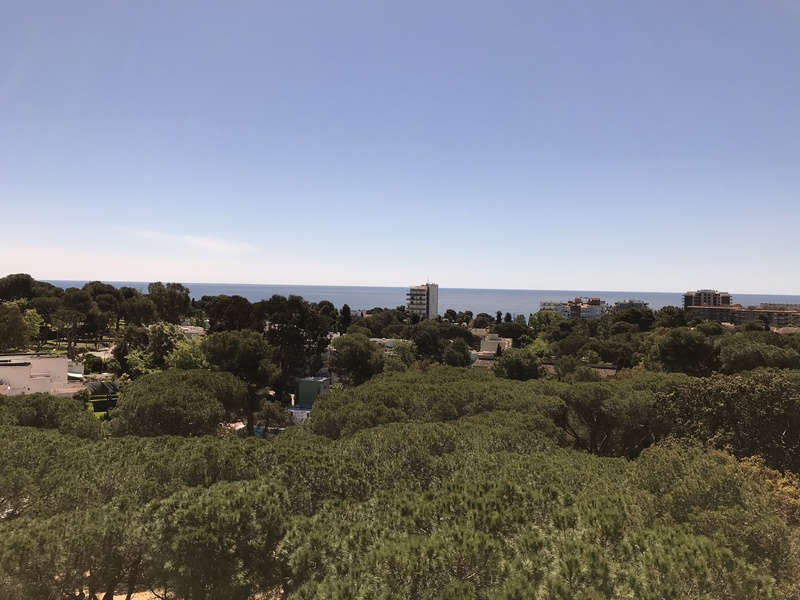 Apartment situated in the building Parc els Estanys about 800 m from the beach and about 500 m from the centre of Playa de Aro.